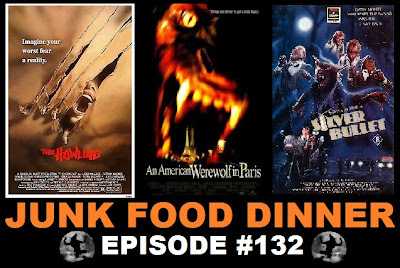 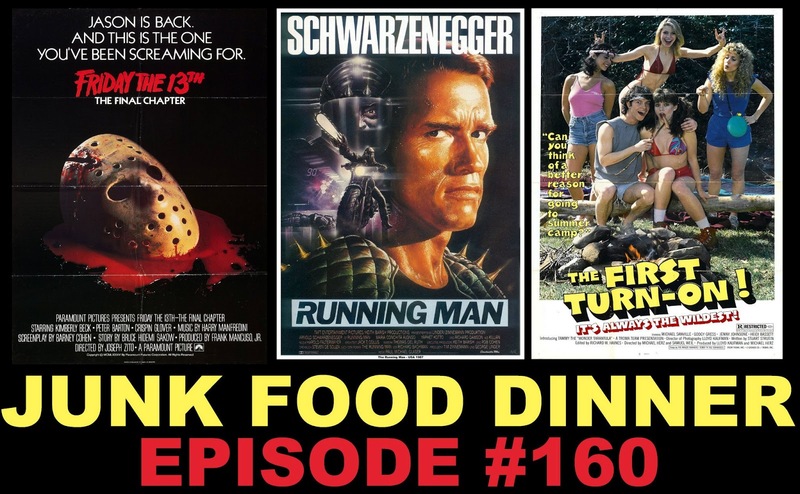 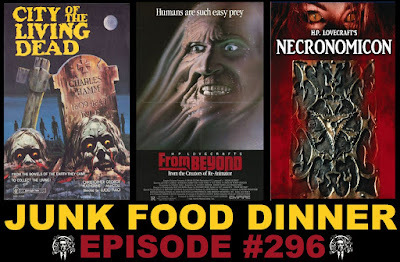 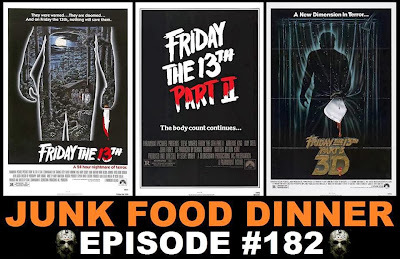 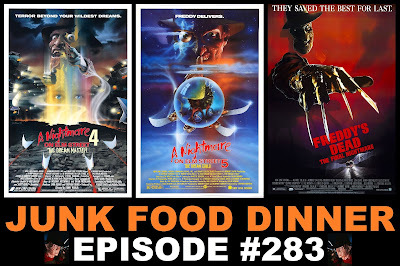 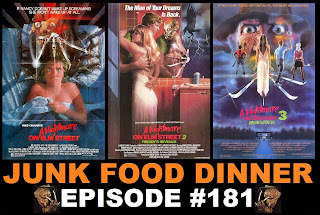 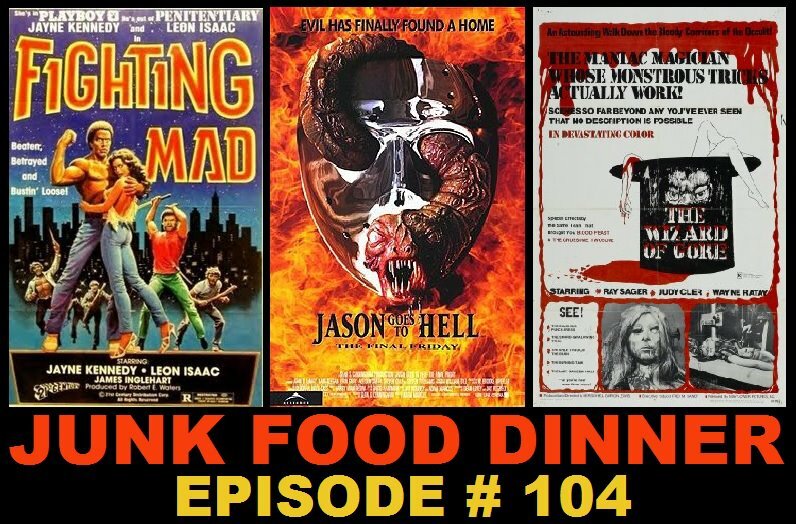 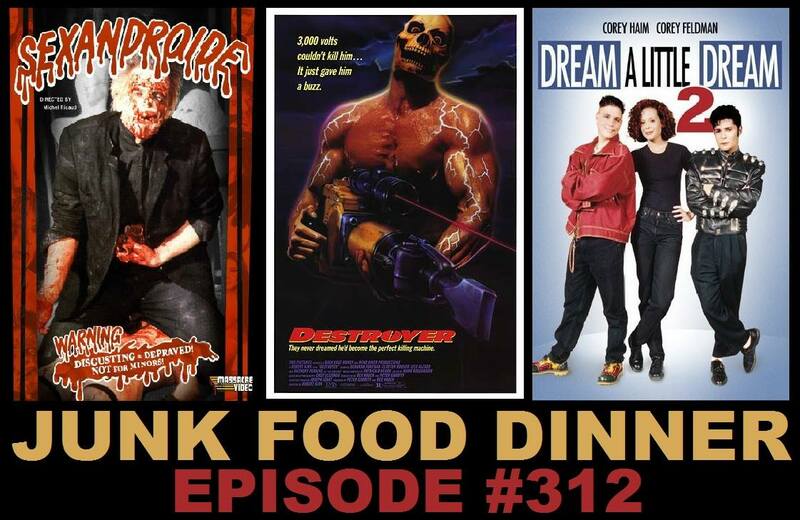 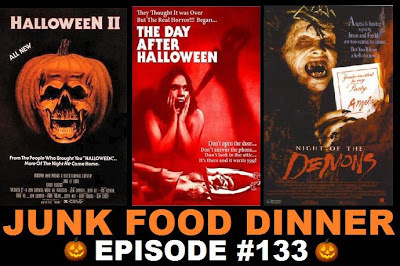 JFD160: Friday the 13th: The Final Chapter, The Running Man, The First Turn On! 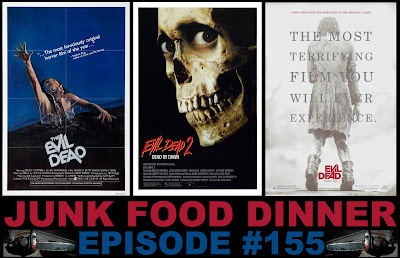 Listener Nick won us over and won the big contest, so we're doing his Ideal JFD episode! 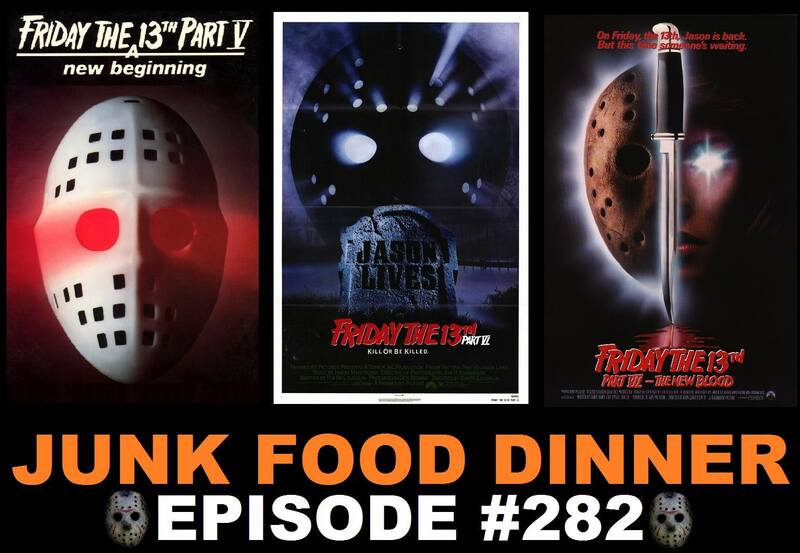 First, Jason's back and only horror fanatic Corey Feldman can stop him in 1984's Friday the 13th: The Final Chapter. 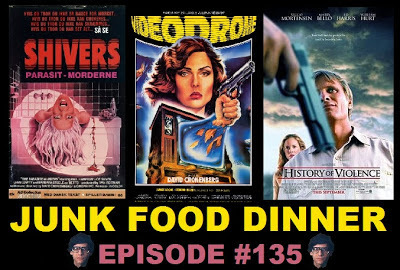 The fourth film in the series promised to be the last, directed by Joseph Zito and co-starring Crispin Glover. 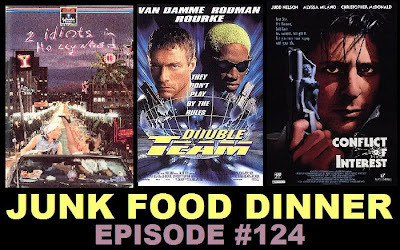 Next, Arnold Schwarzenegger is forced to fight for his life on a deadly game show in 1987's The Running Man, based on a book by Stephen King and co-starring Jesse Ventura, Yaphet Kotto and Richard Dawson. 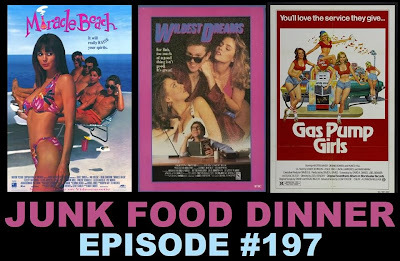 Finally, summer campers get stuck in a cave after a big fart, so they pass the time talking about their first sexual encounters in Troma's The First Turn on! 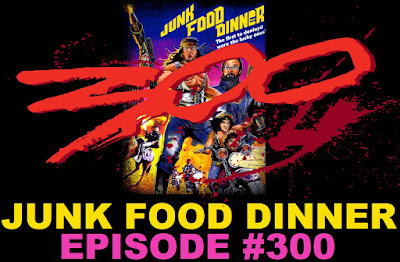 from 1983, directed by Lloyd Kaufman and Michael Herz. 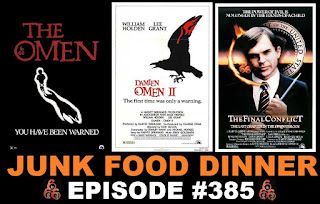 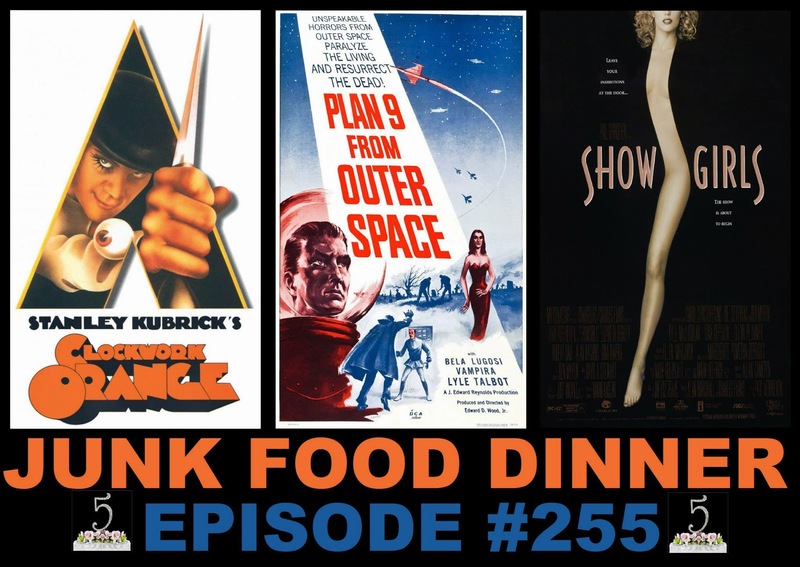 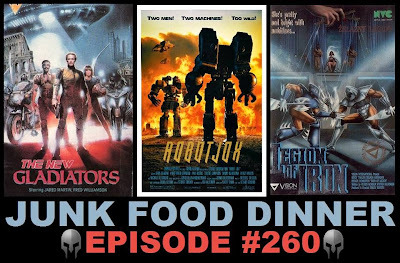 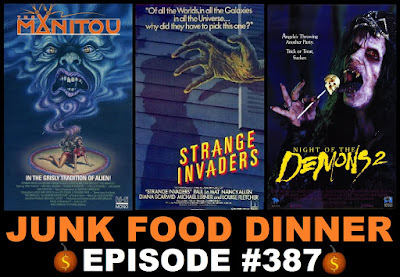 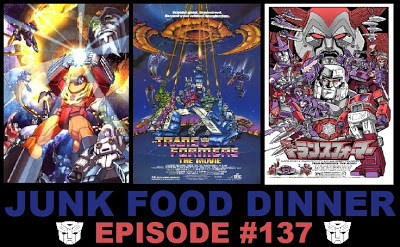 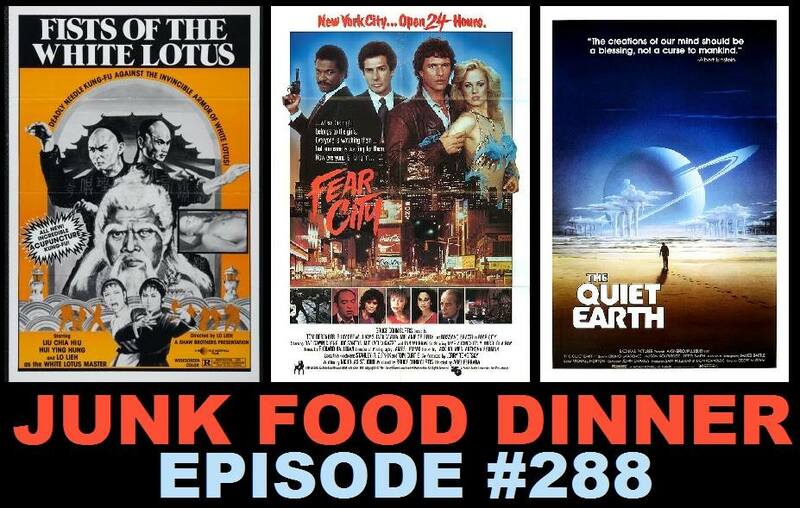 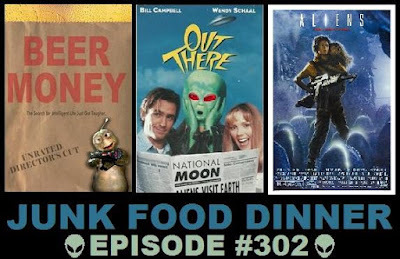 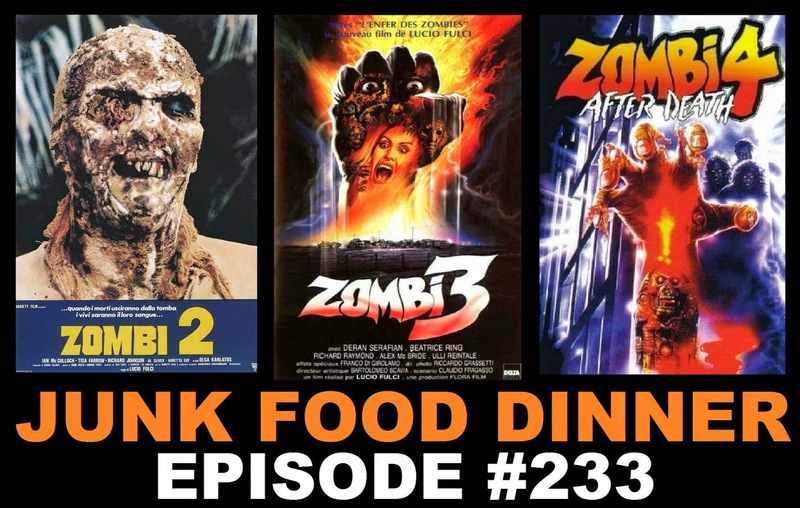 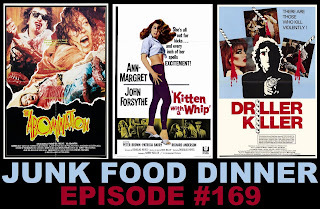 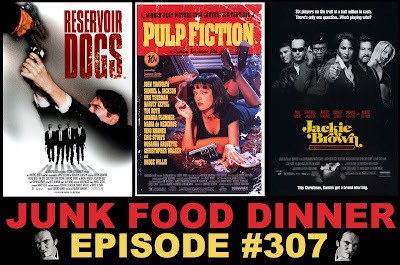 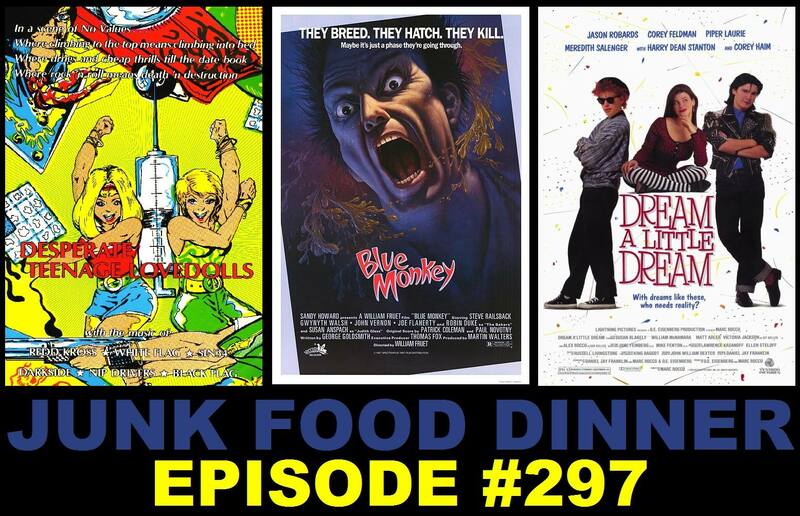 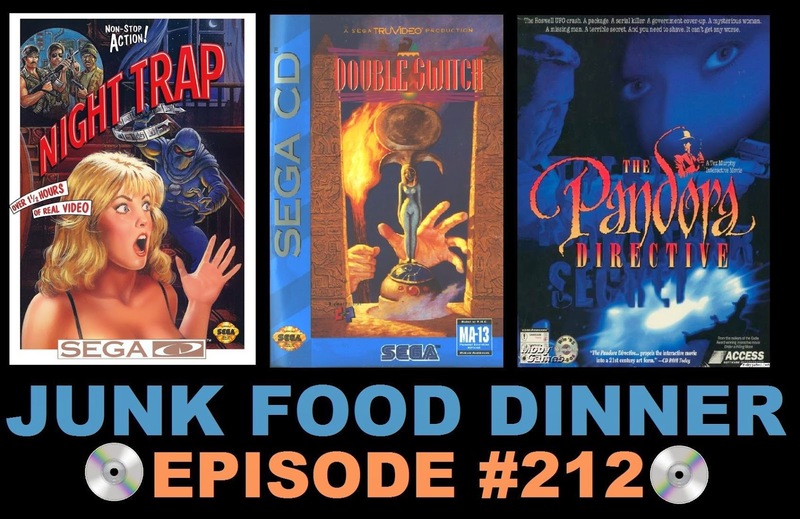 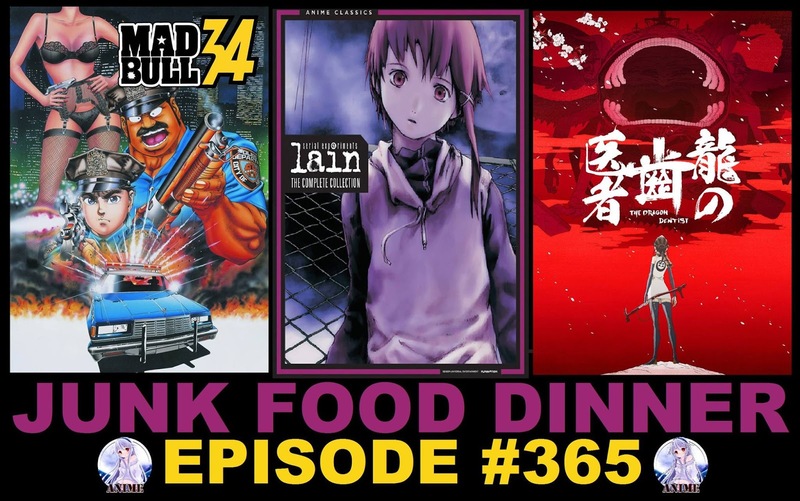 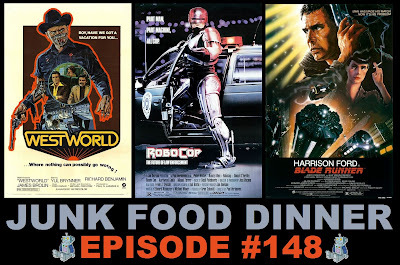 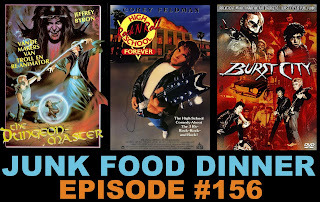 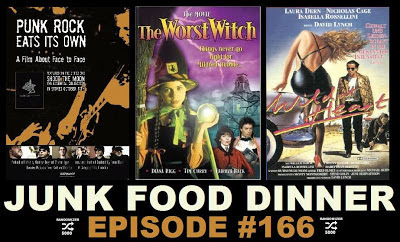 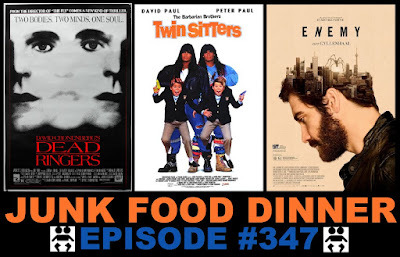 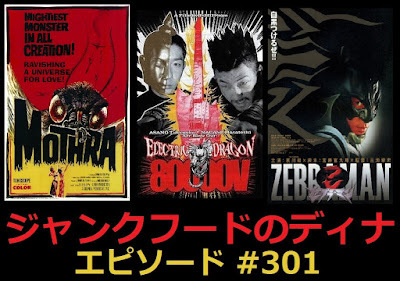 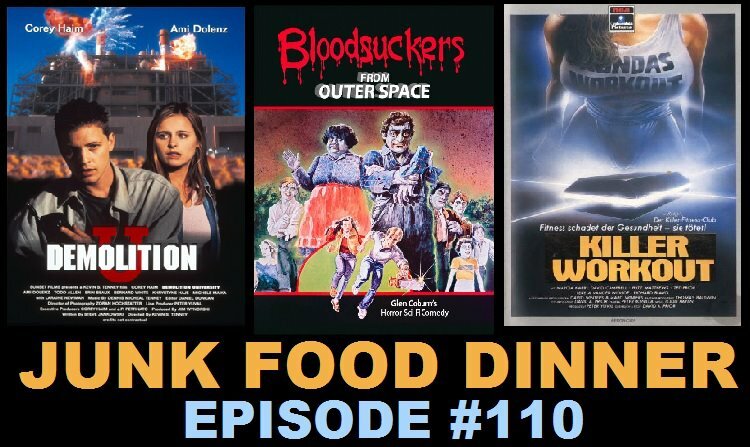 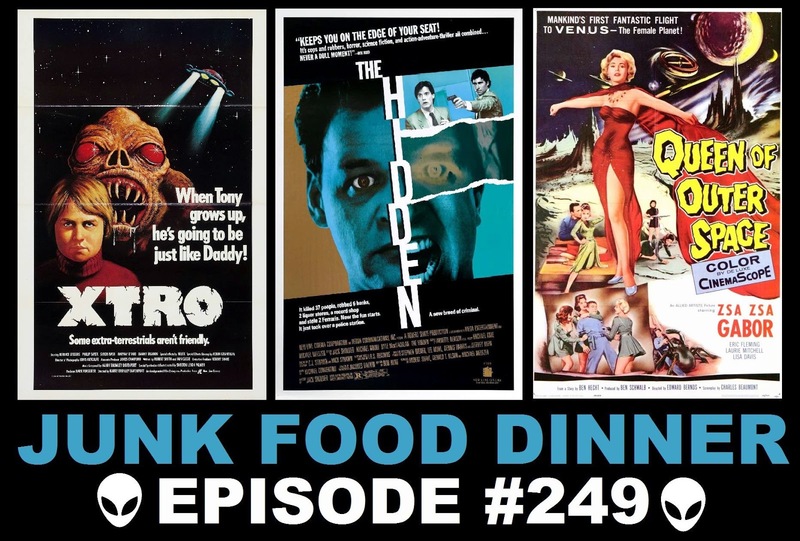 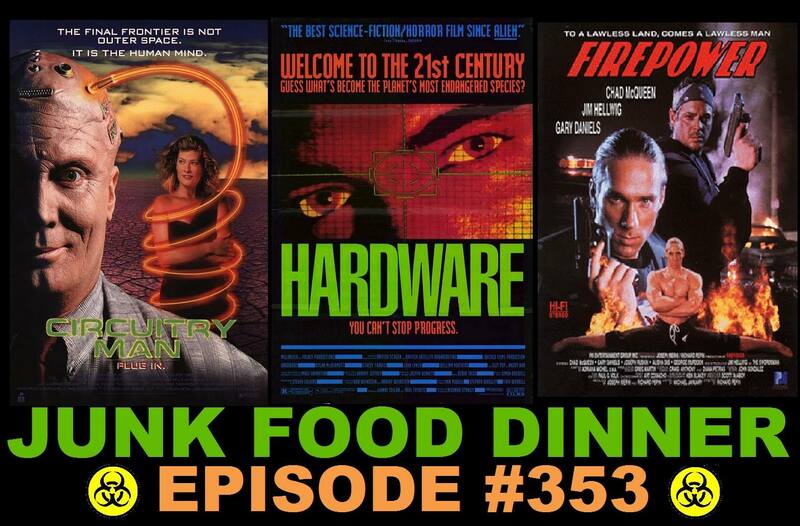 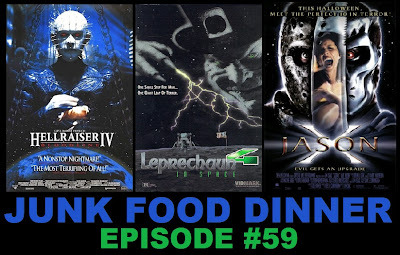 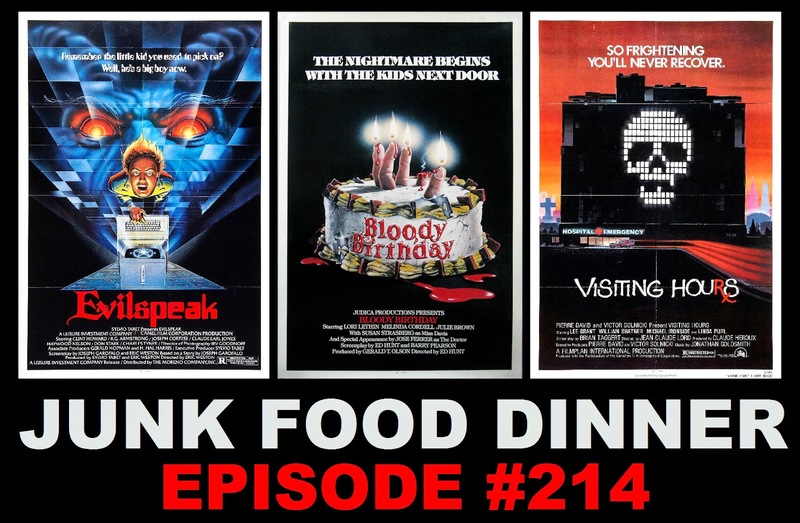 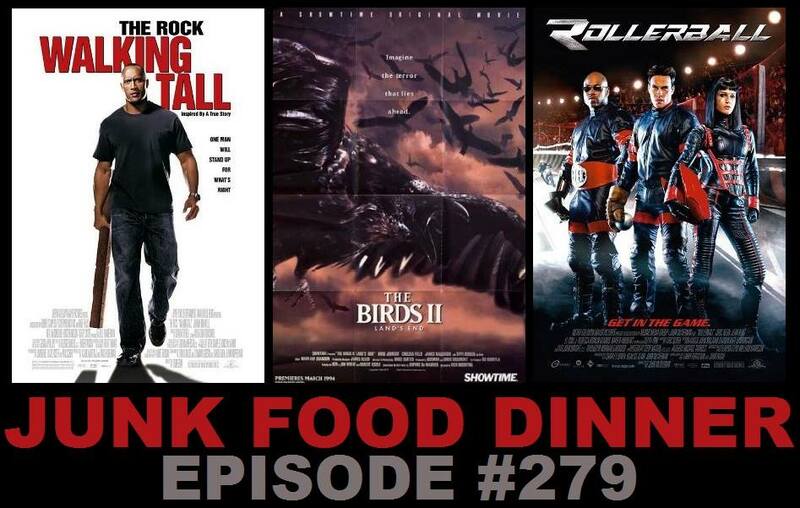 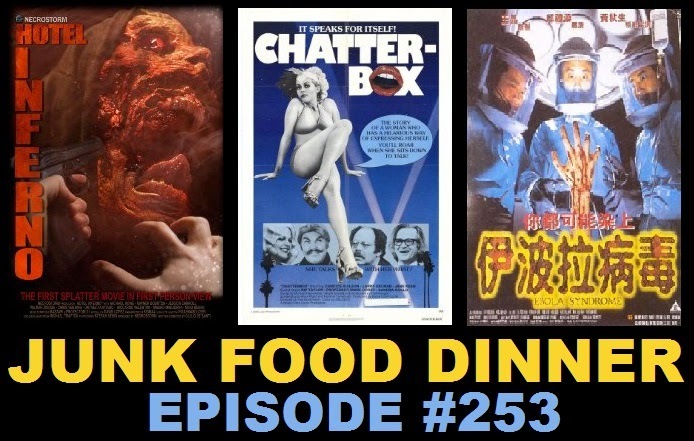 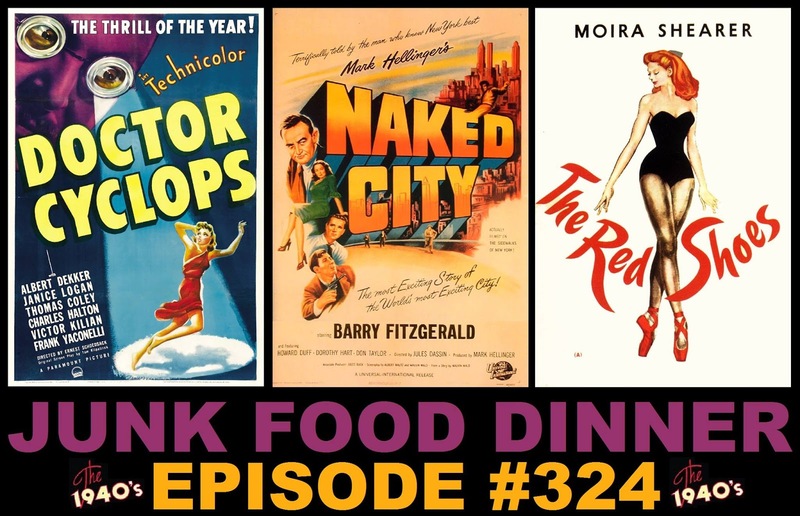 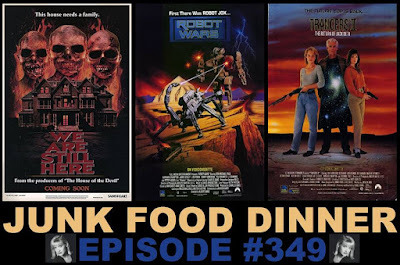 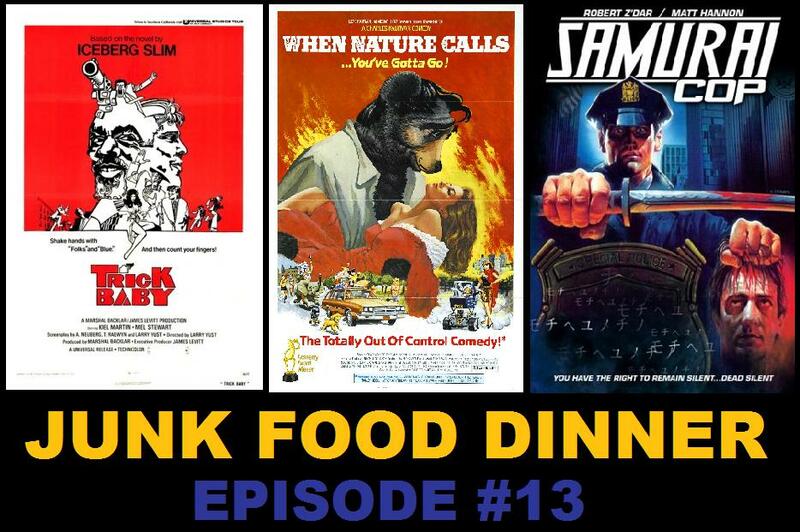 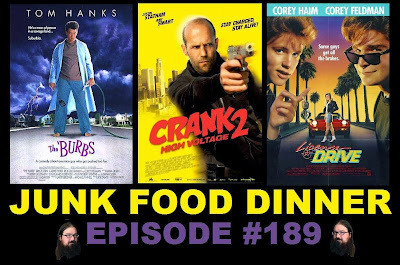 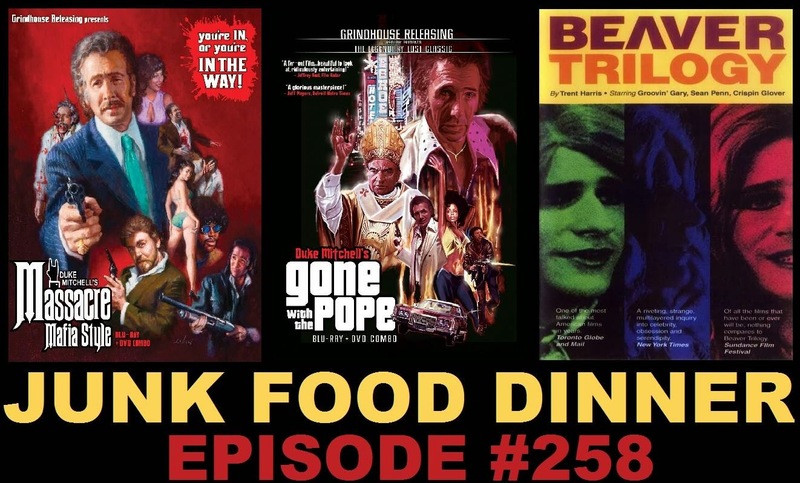 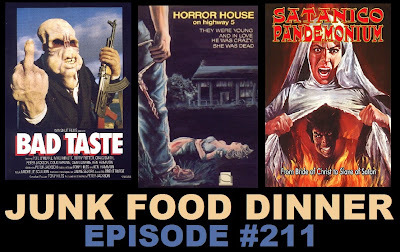 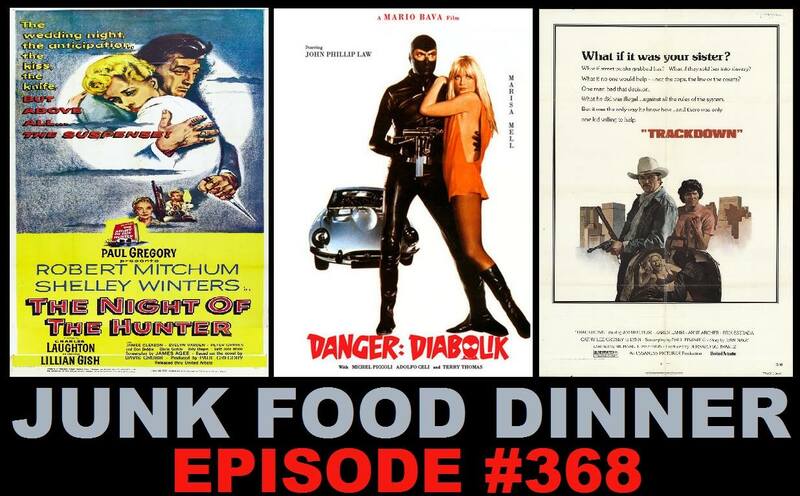 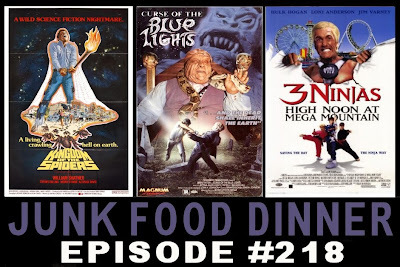 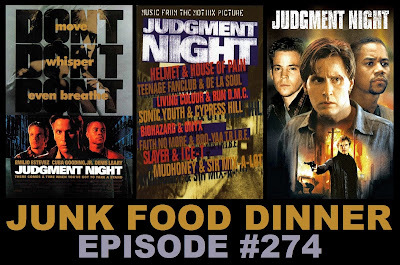 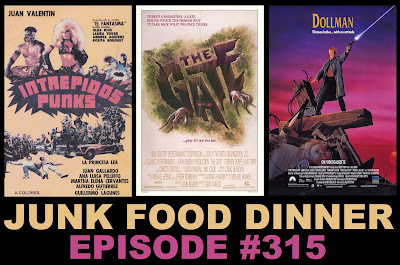 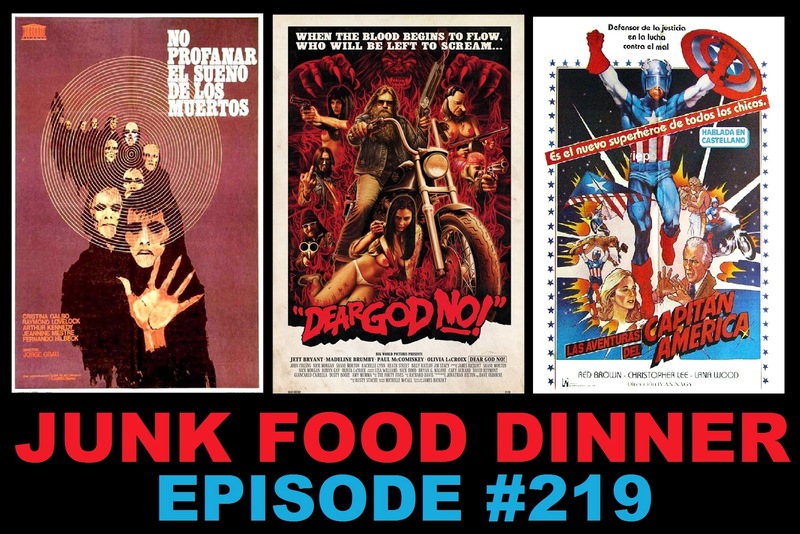 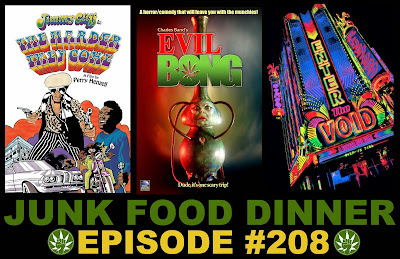 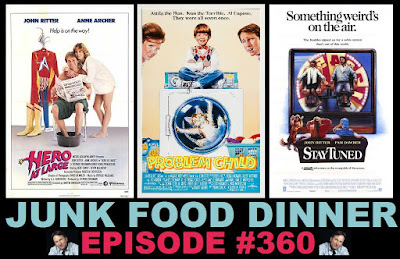 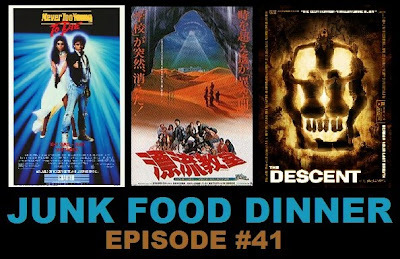 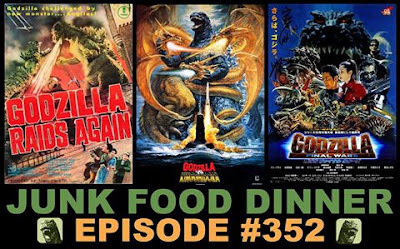 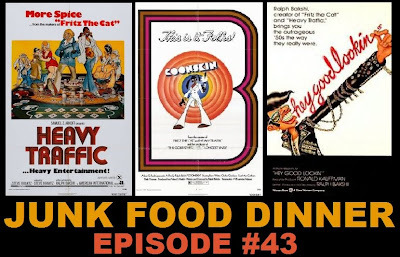 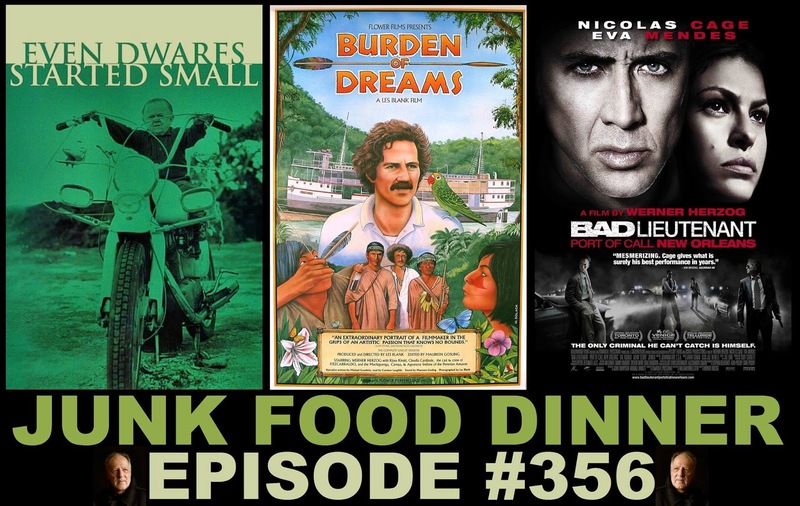 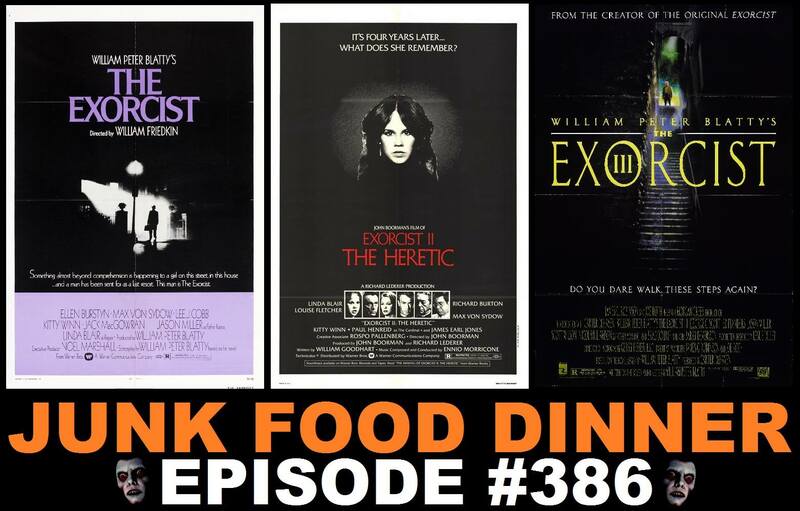 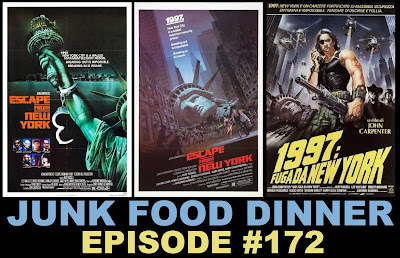 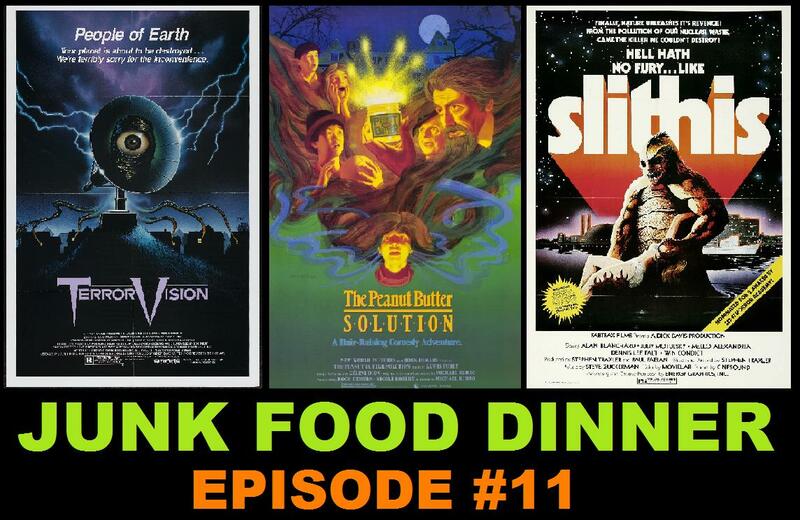 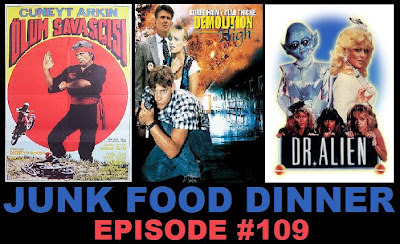 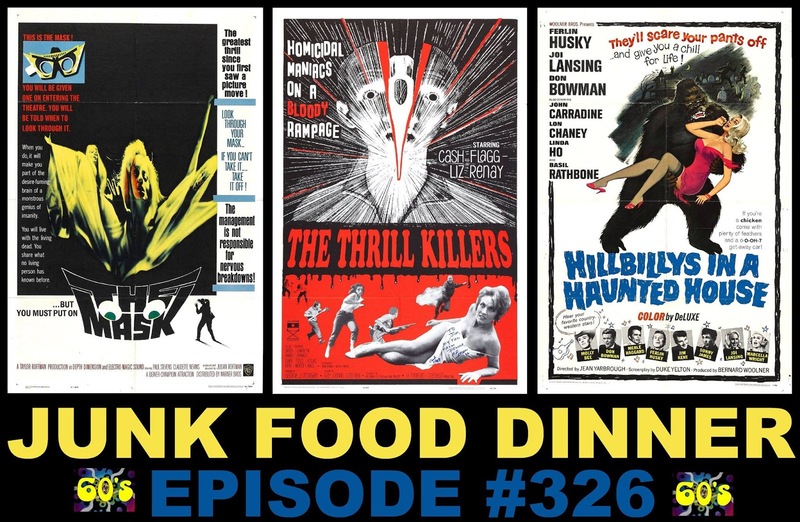 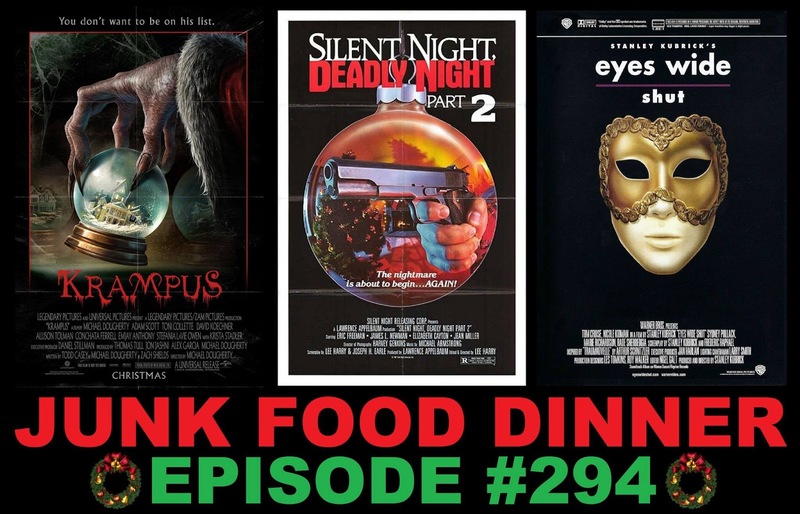 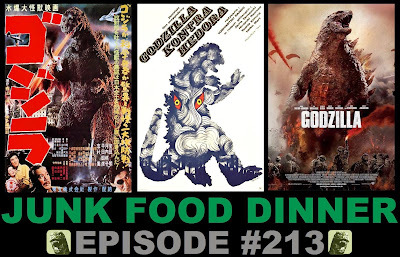 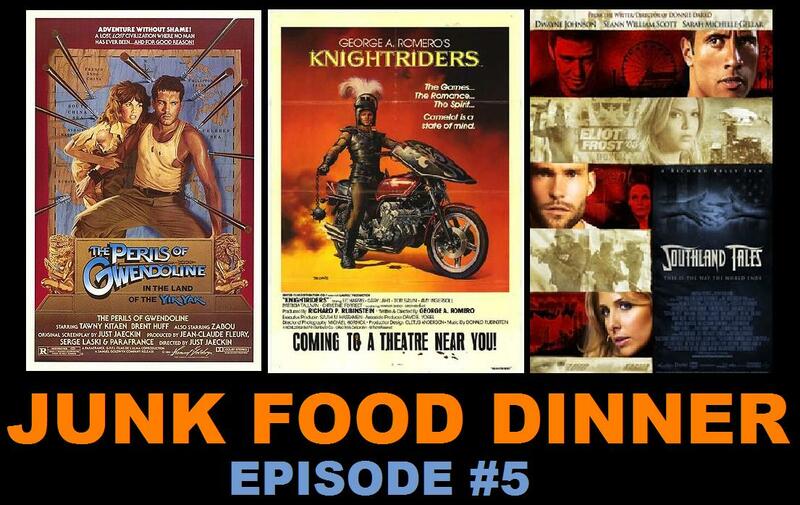 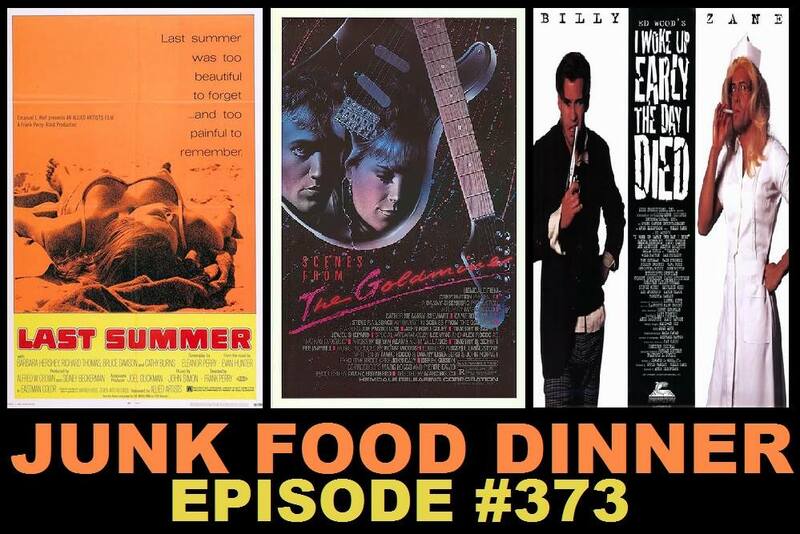 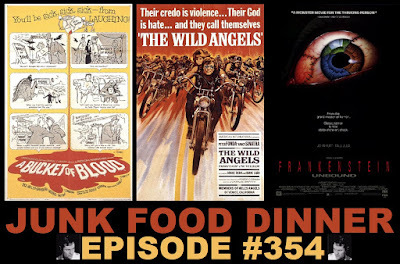 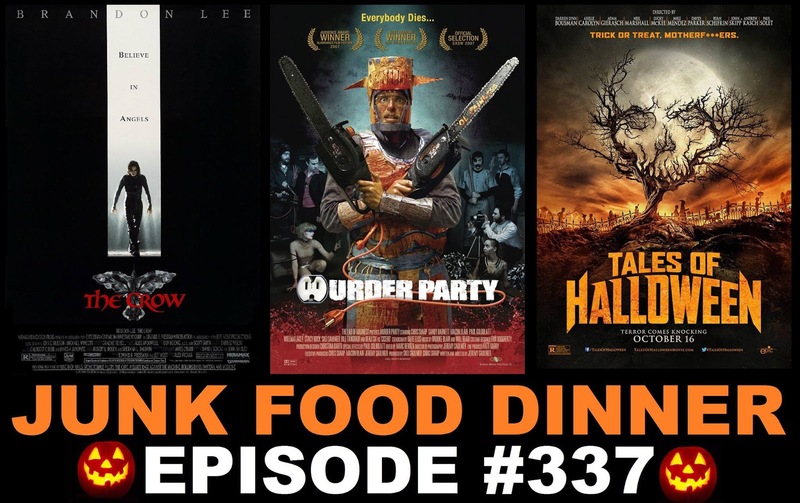 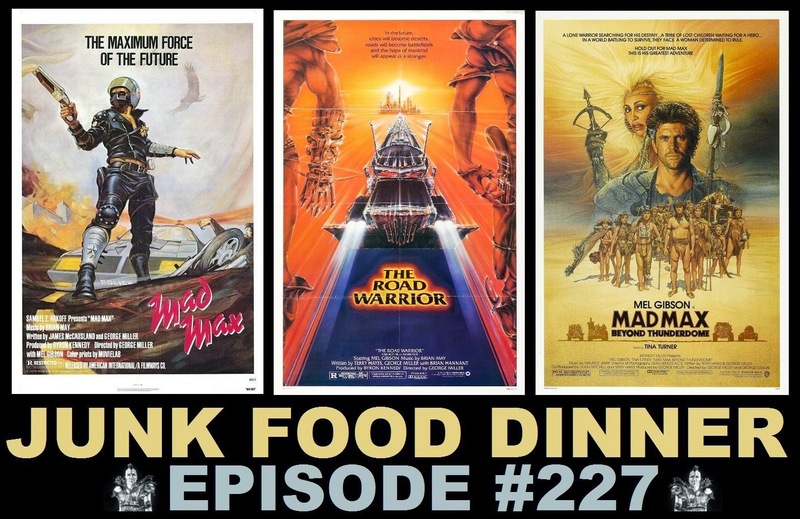 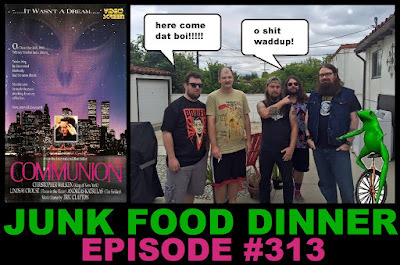 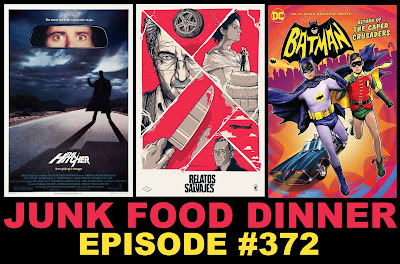 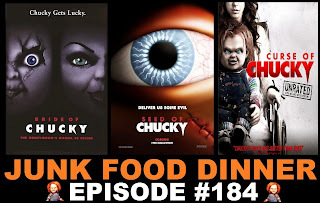 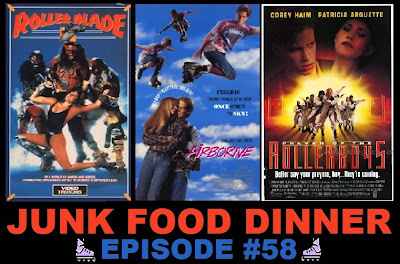 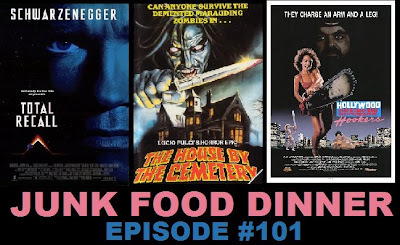 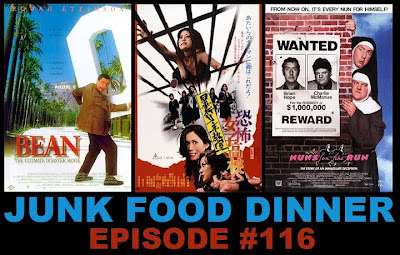 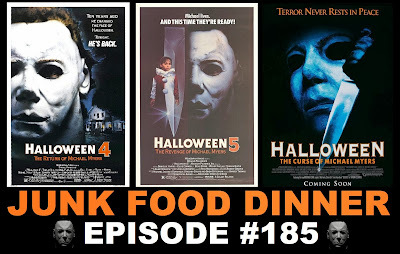 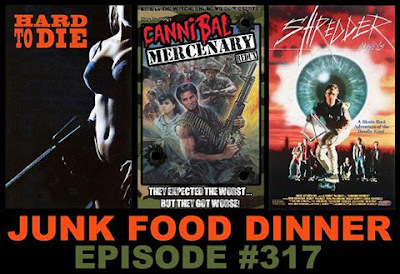 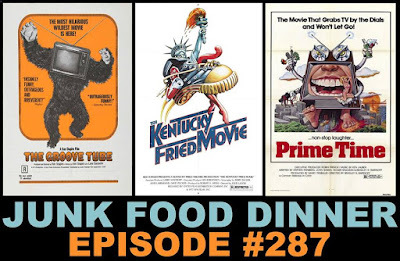 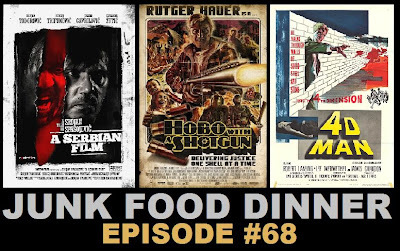 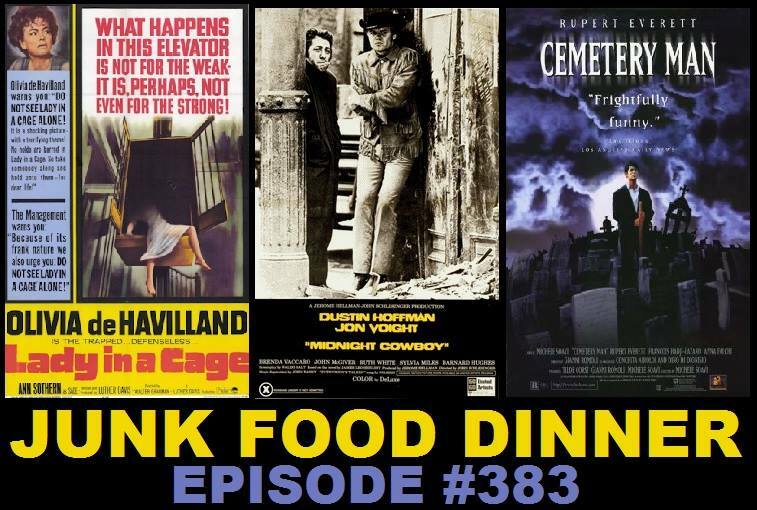 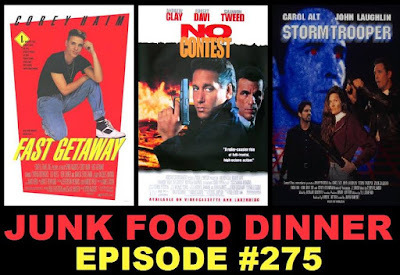 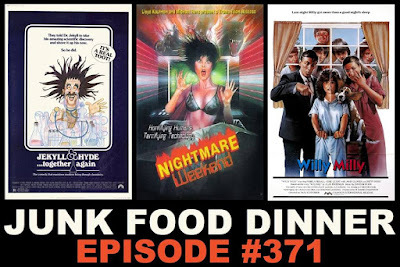 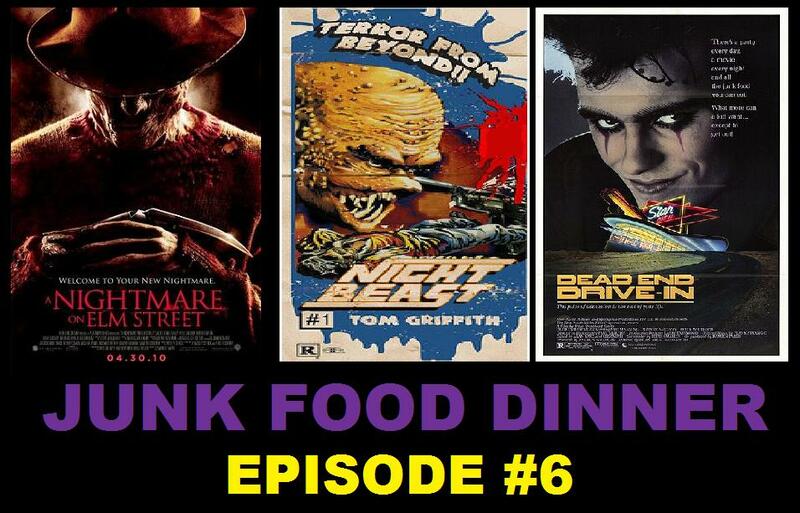 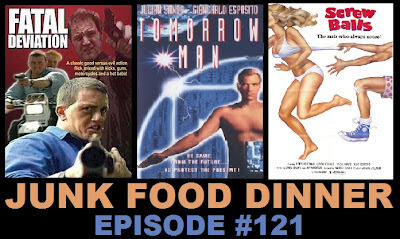 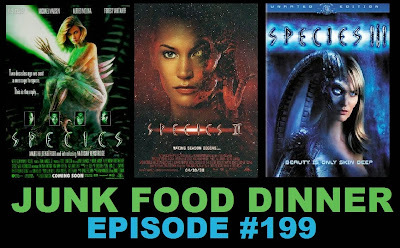 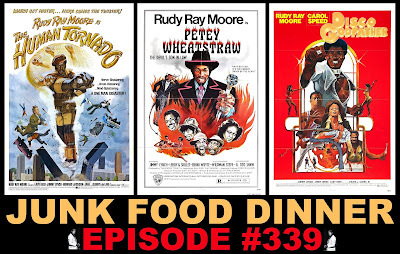 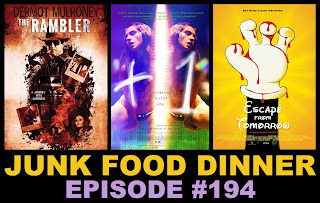 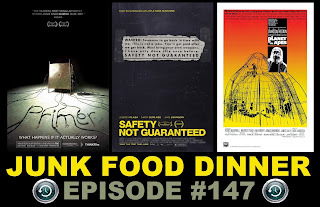 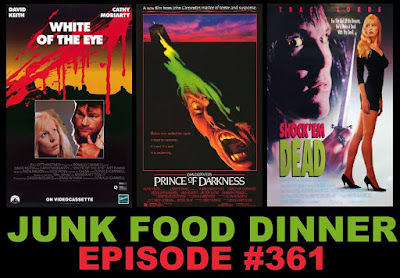 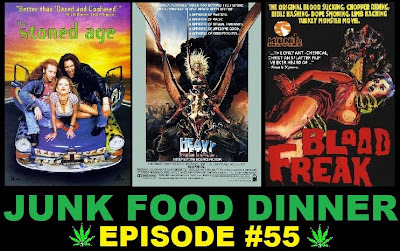 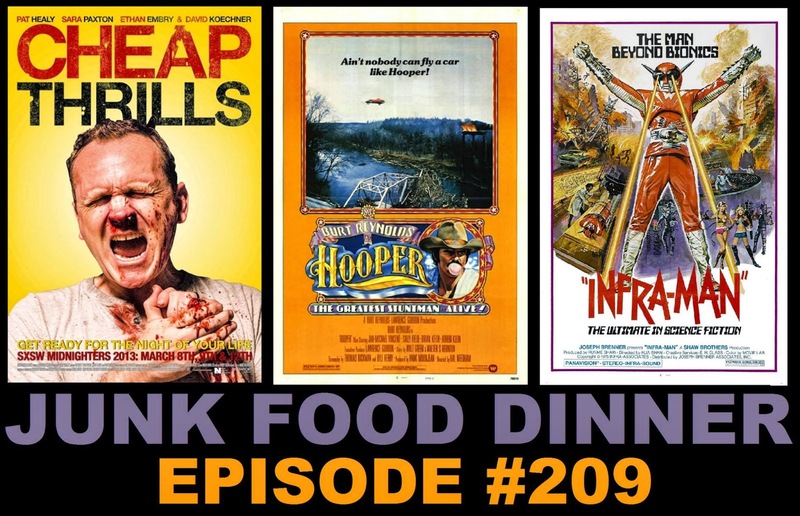 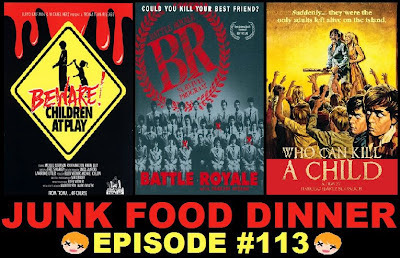 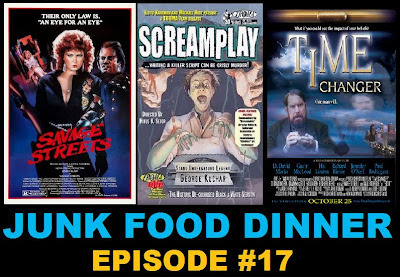 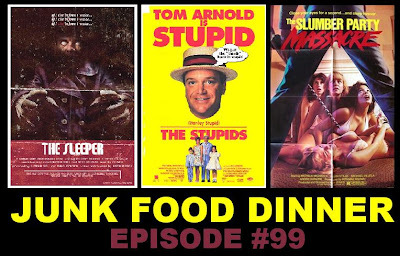 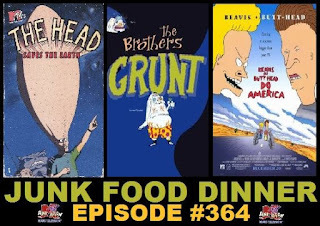 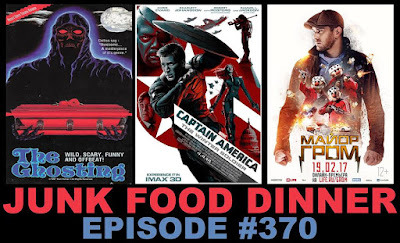 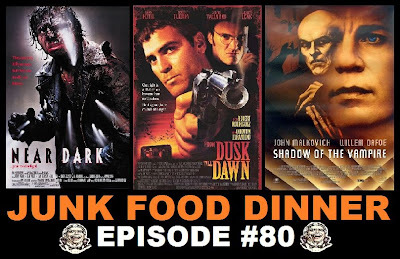 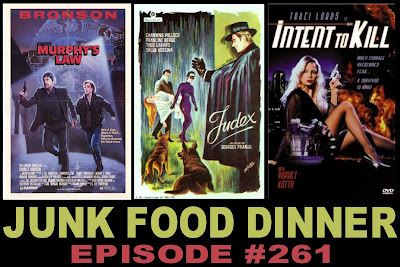 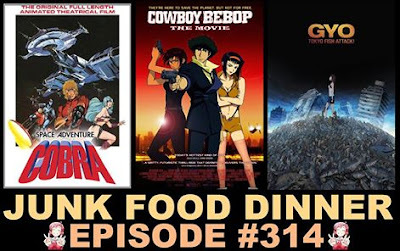 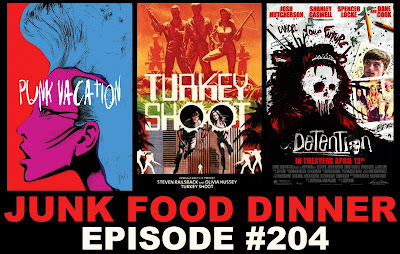 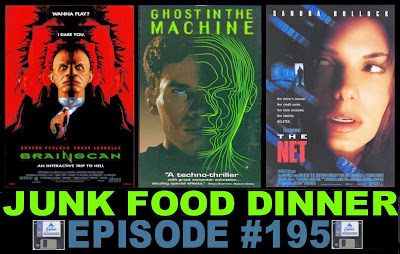 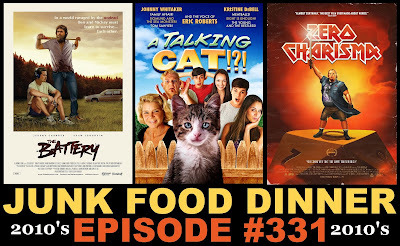 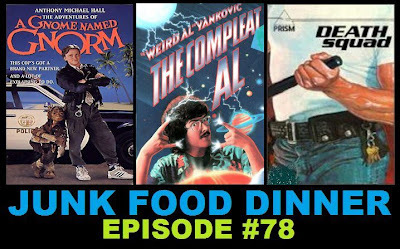 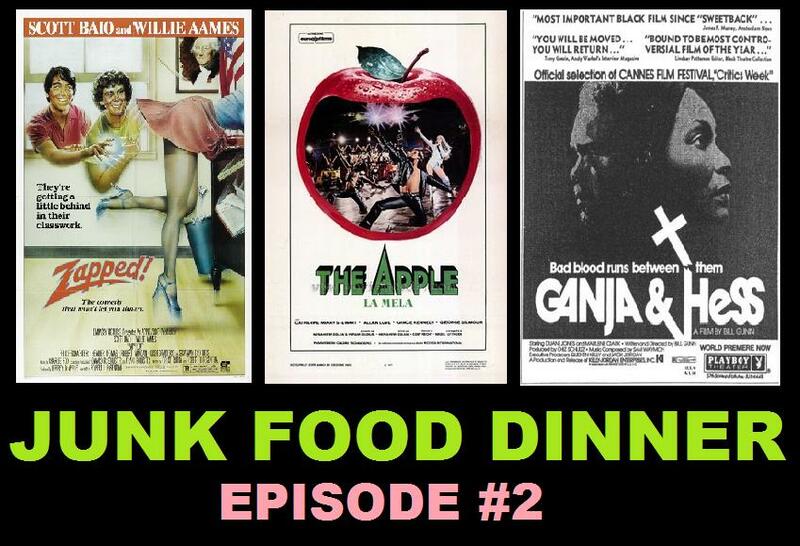 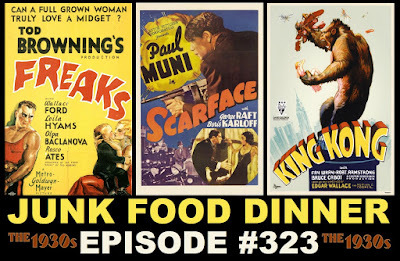 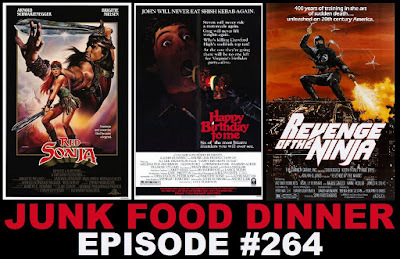 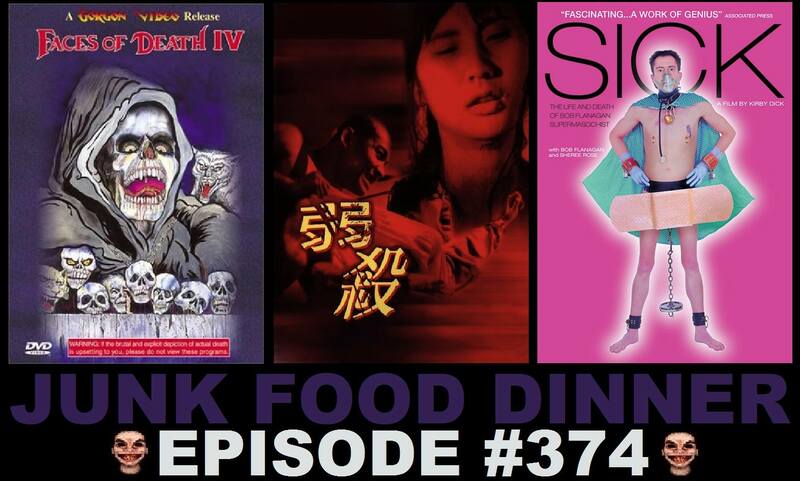 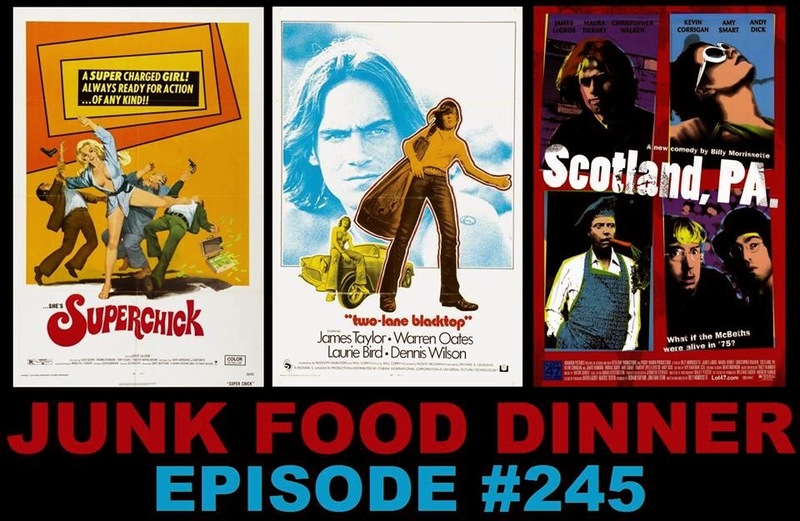 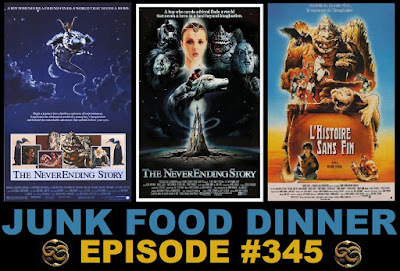 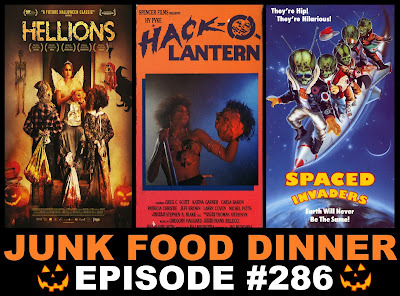 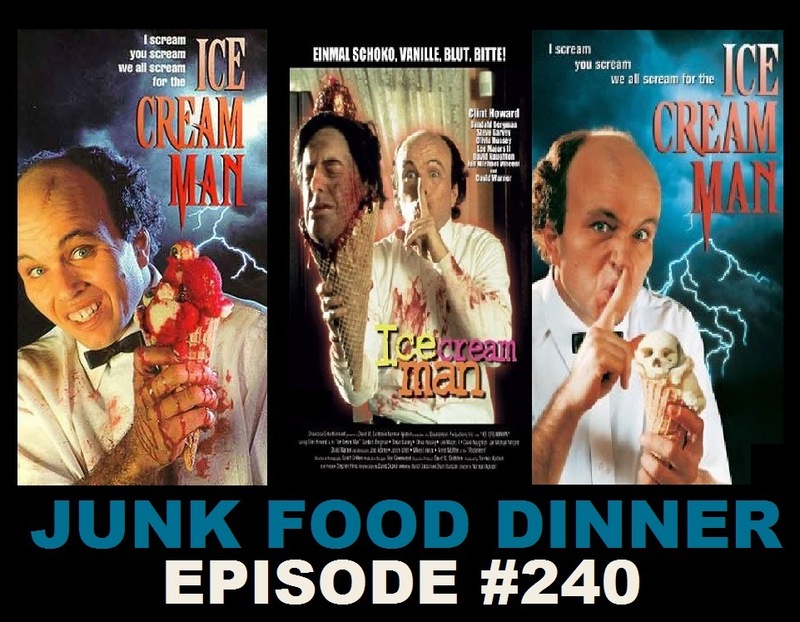 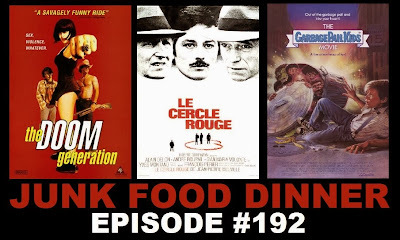 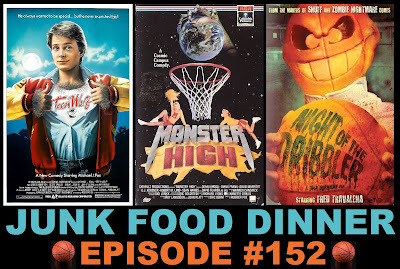 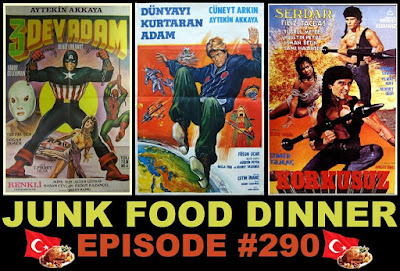 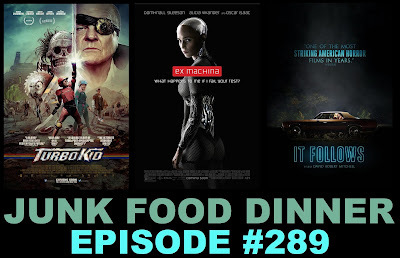 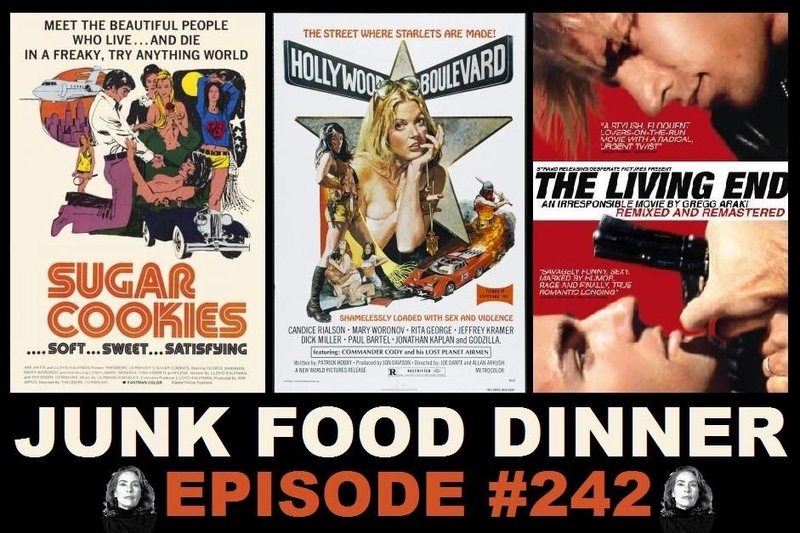 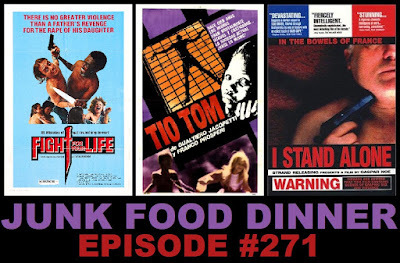 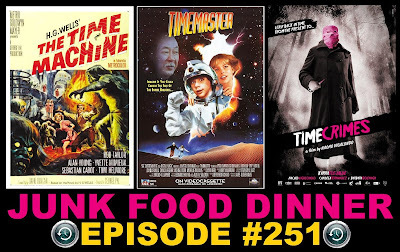 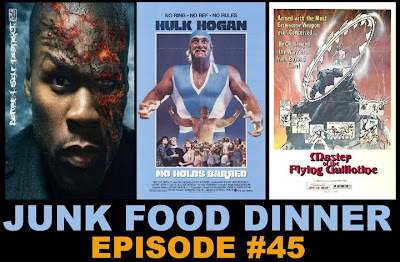 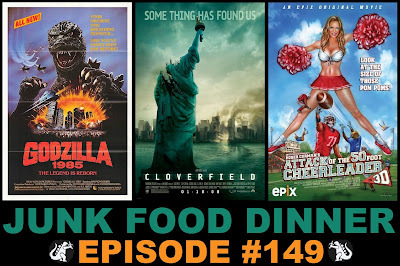 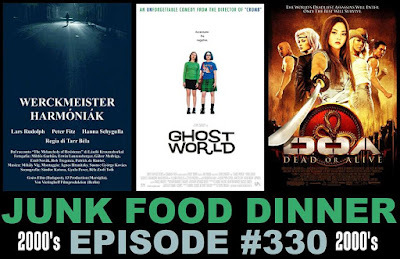 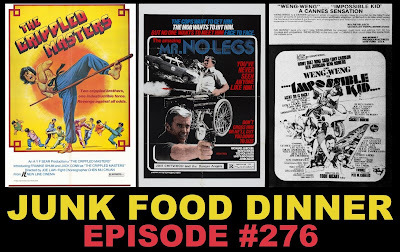 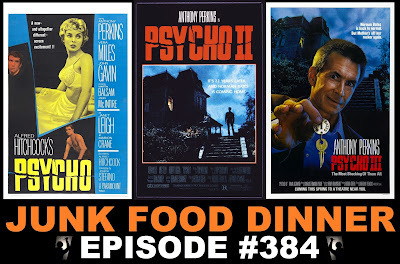 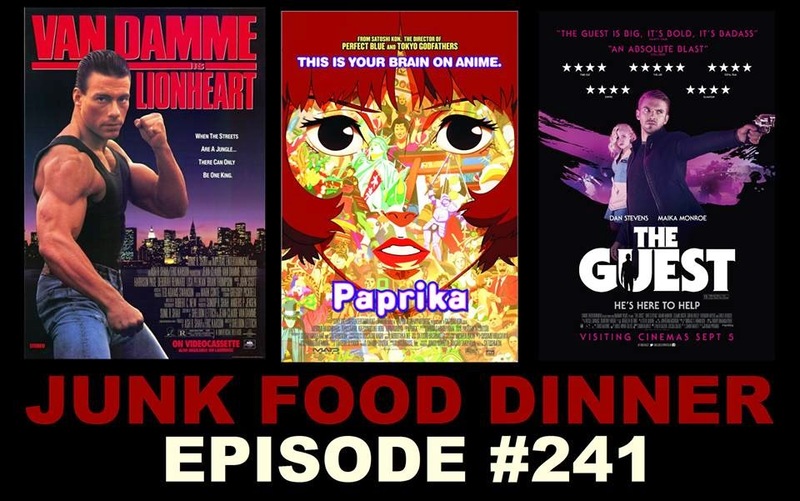 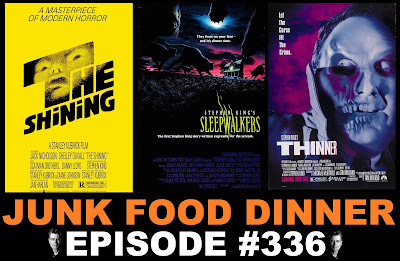 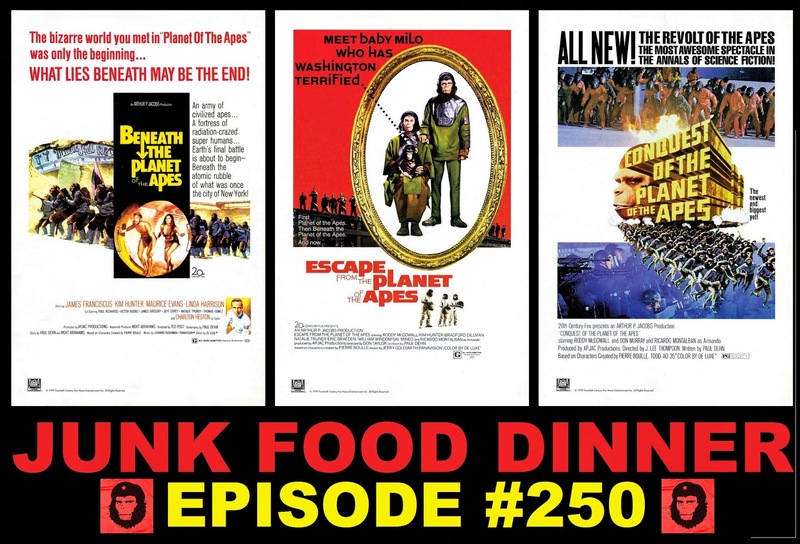 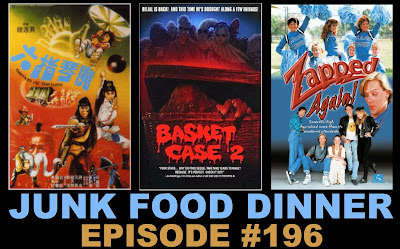 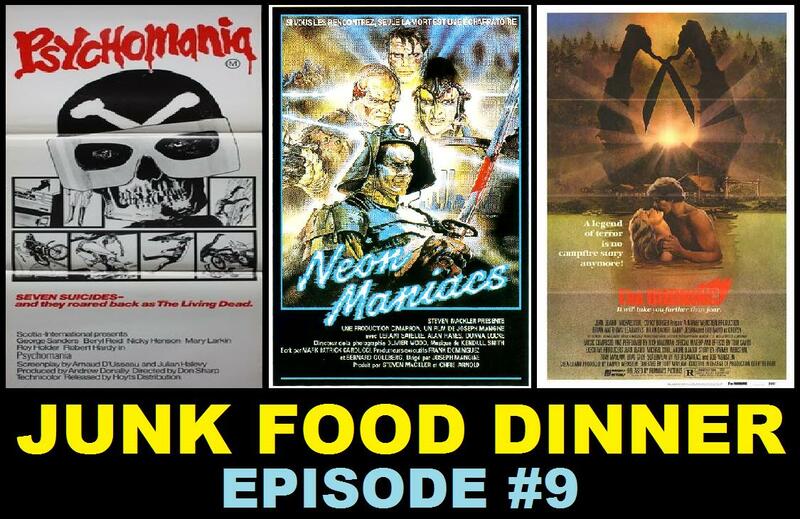 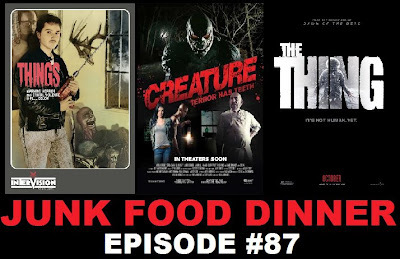 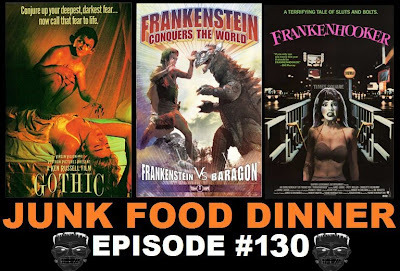 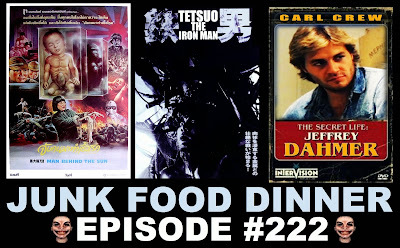 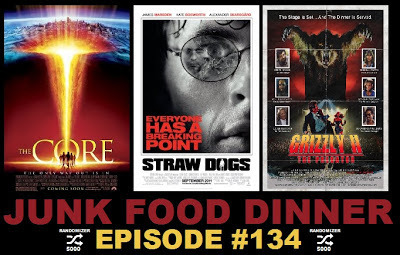 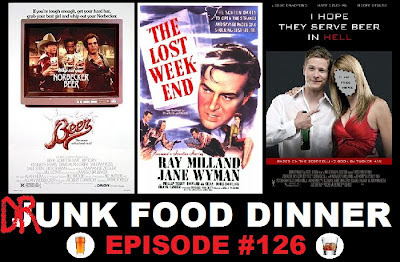 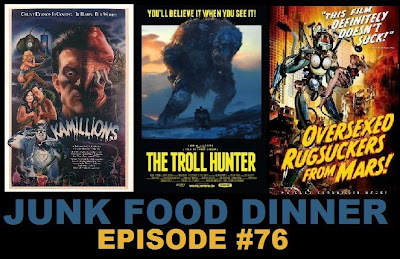 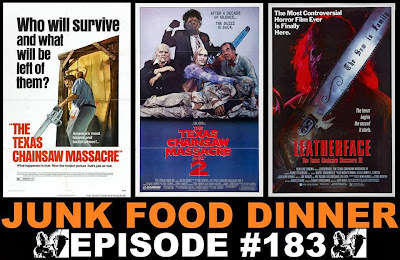 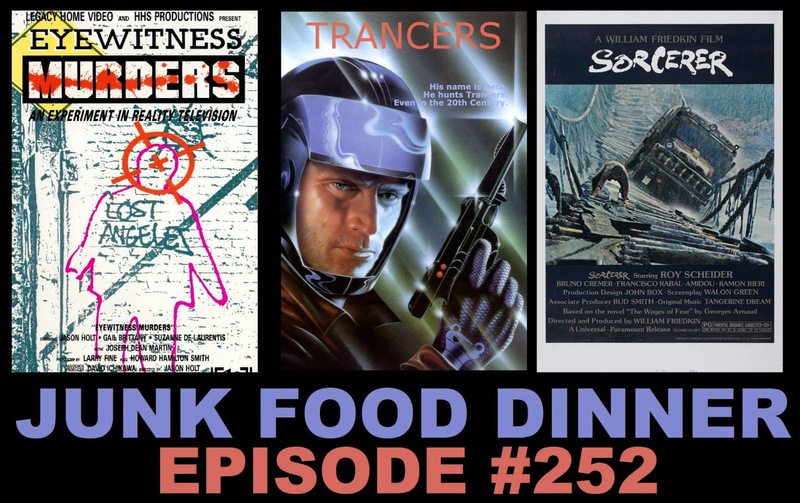 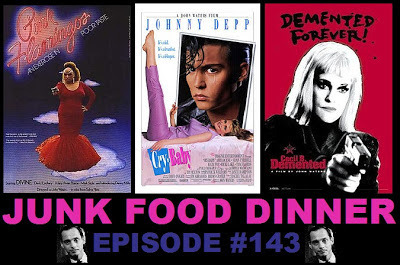 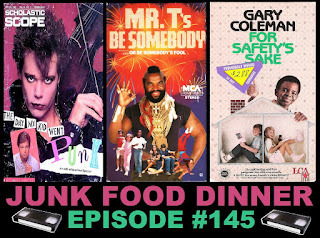 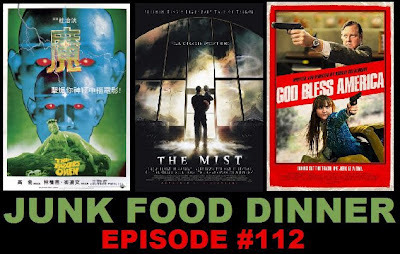 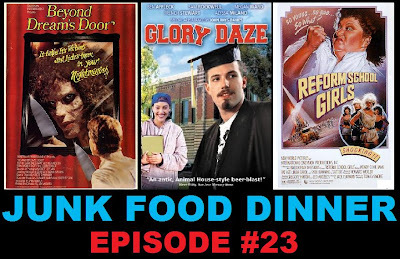 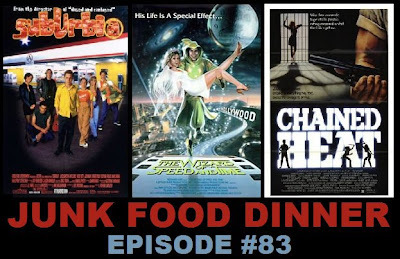 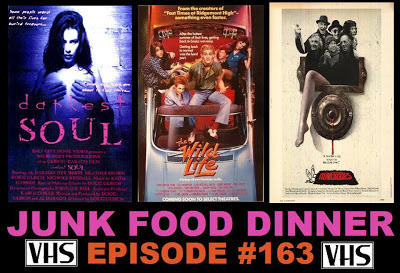 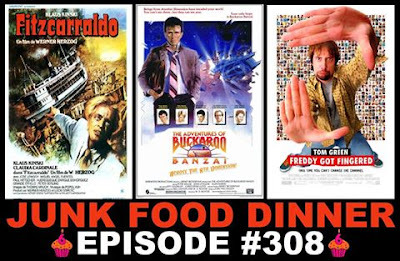 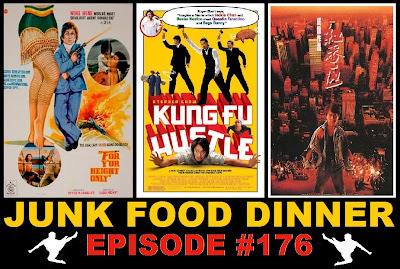 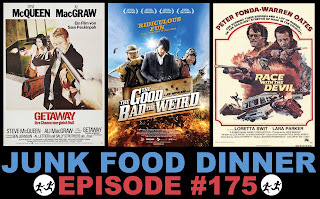 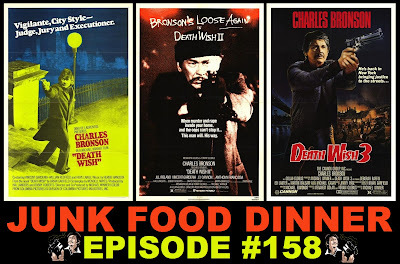 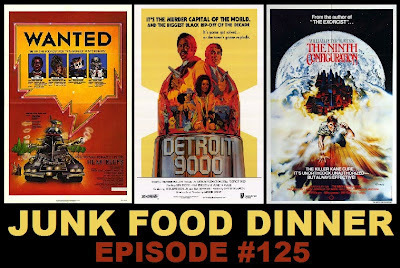 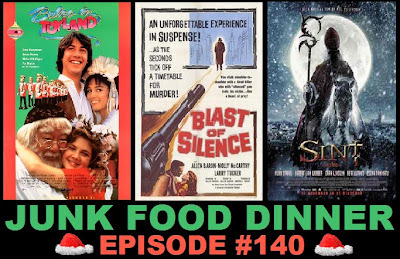 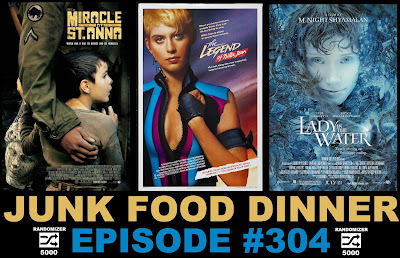 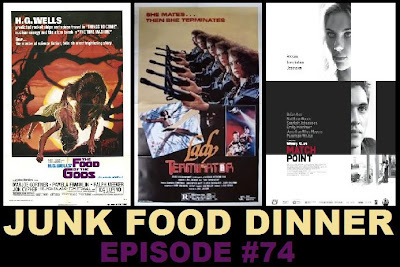 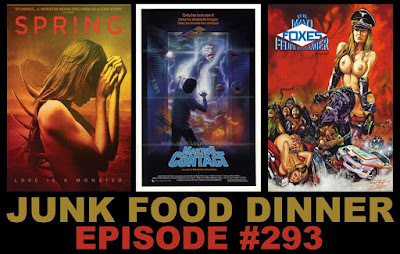 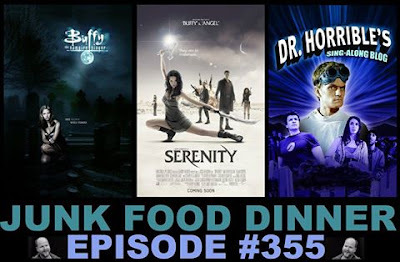 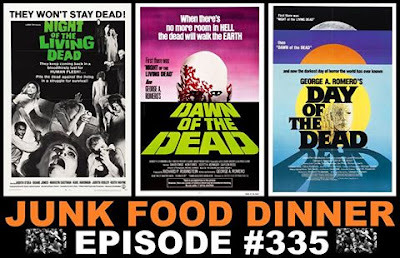 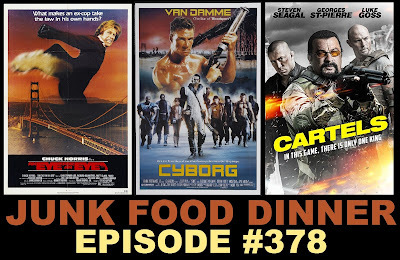 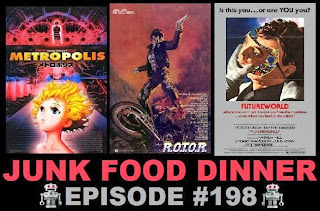 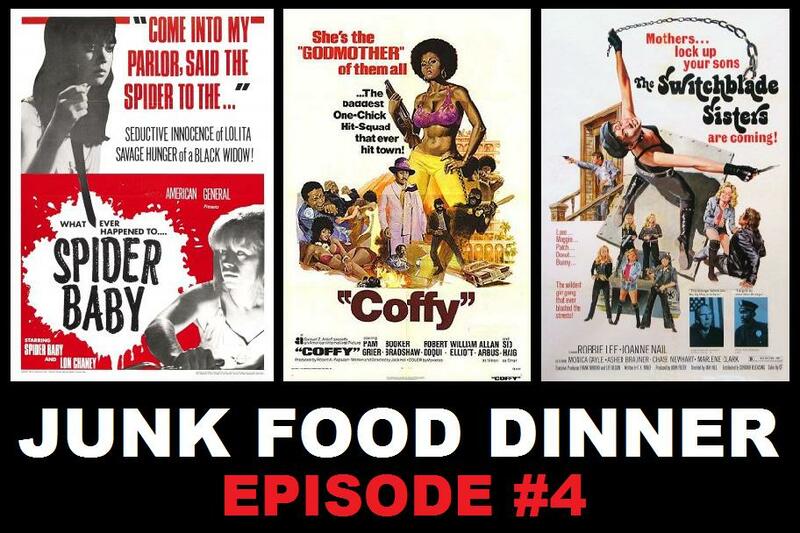 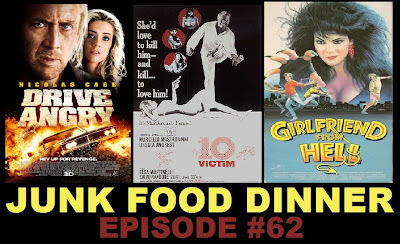 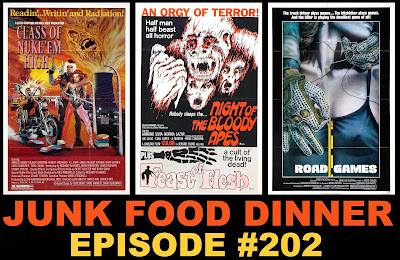 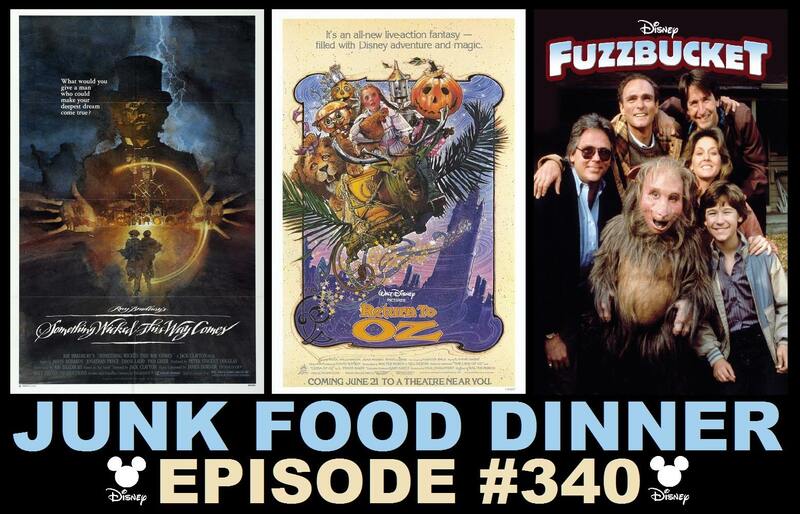 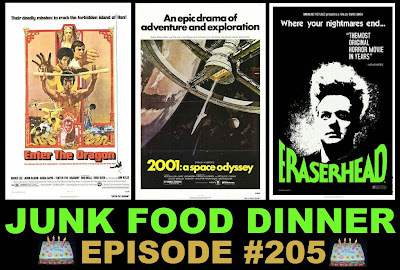 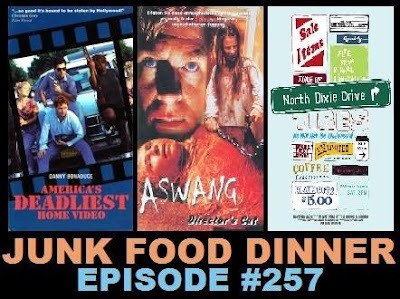 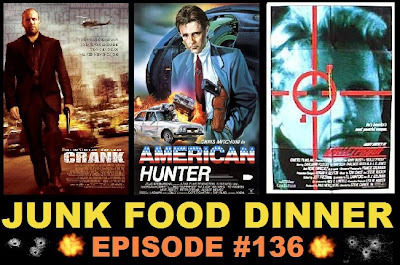 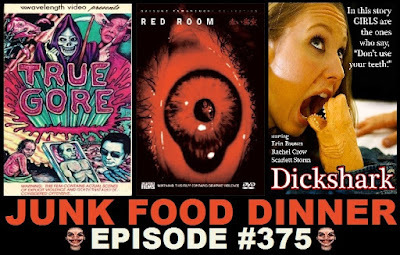 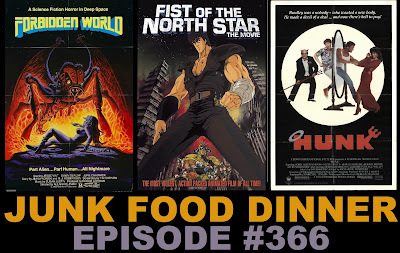 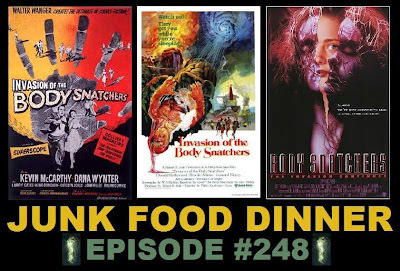 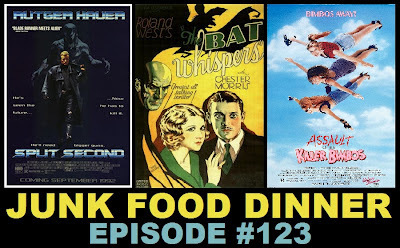 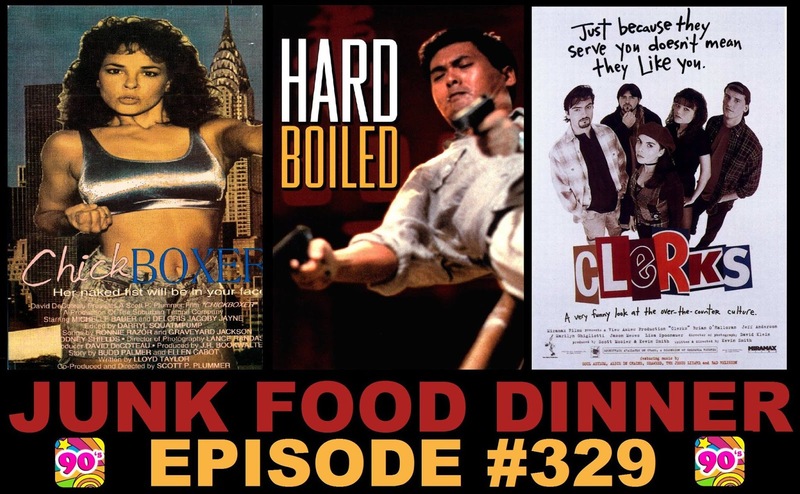 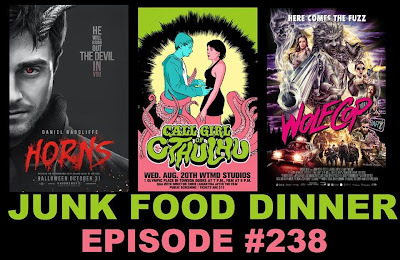 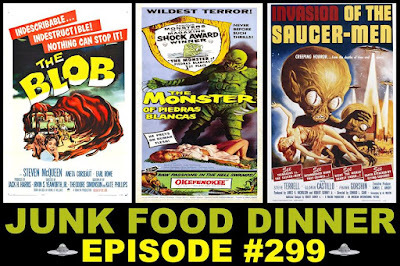 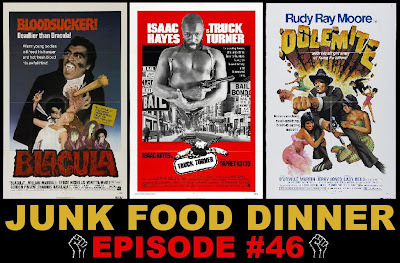 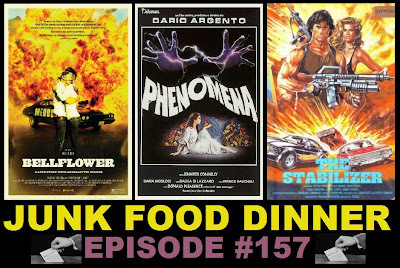 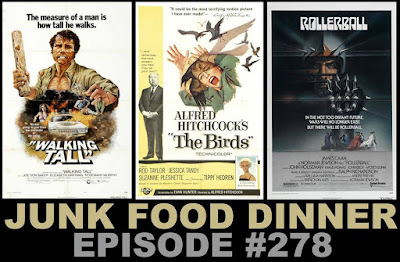 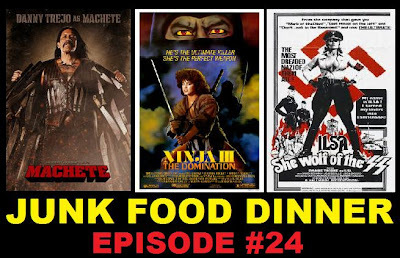 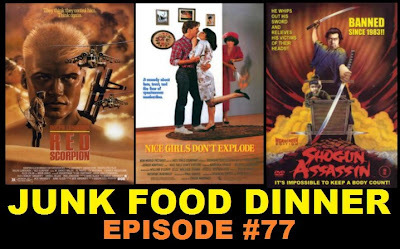 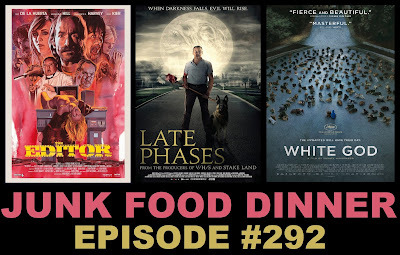 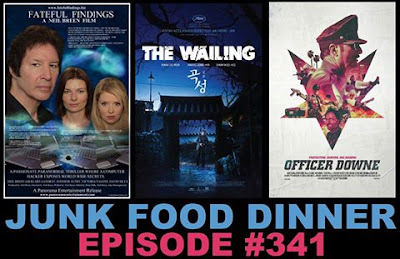 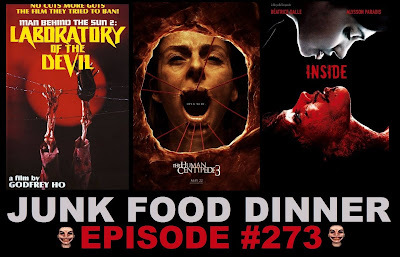 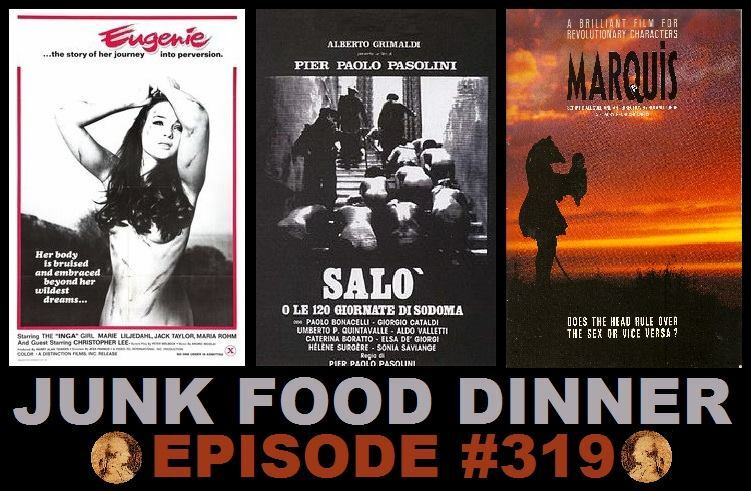 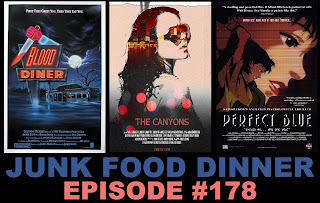 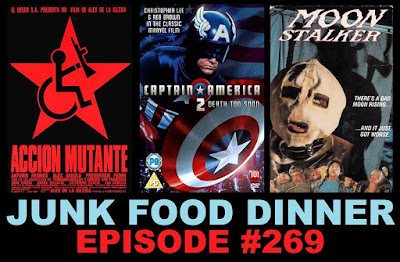 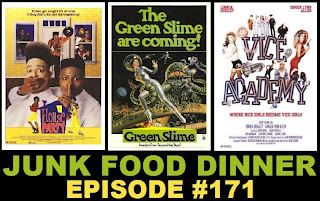 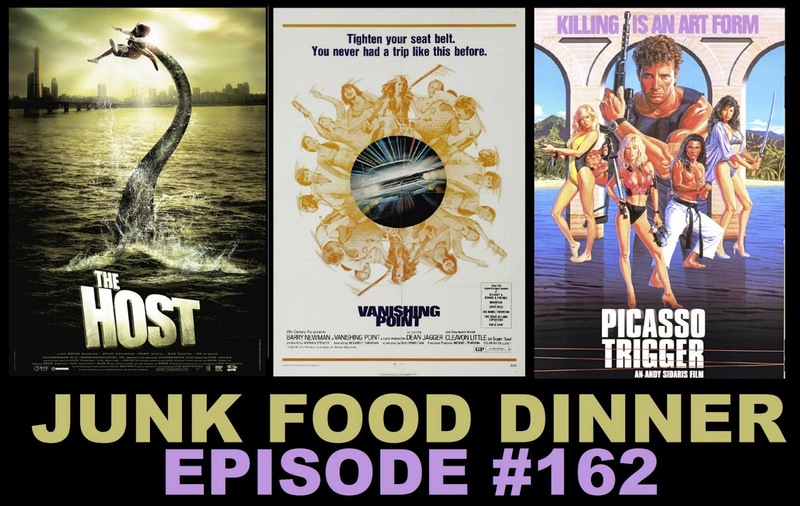 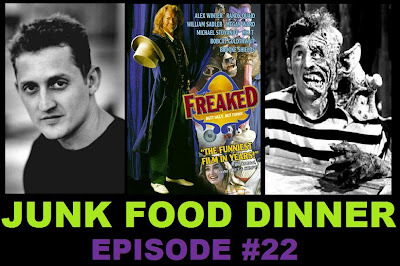 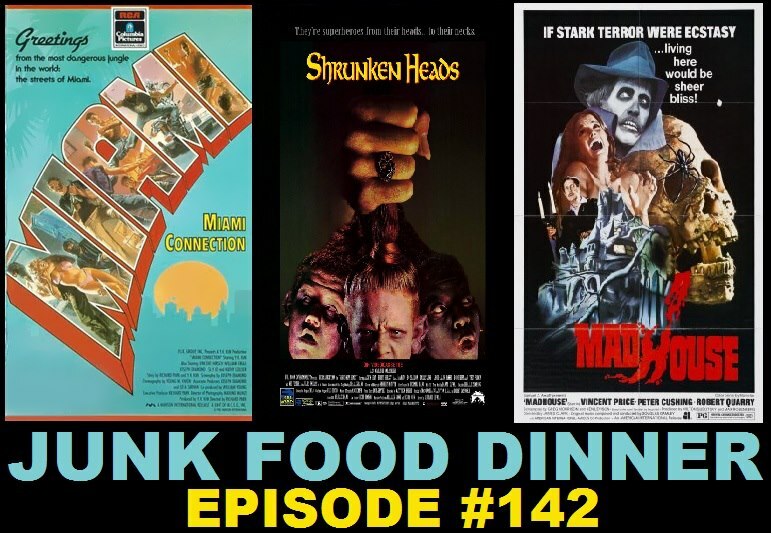 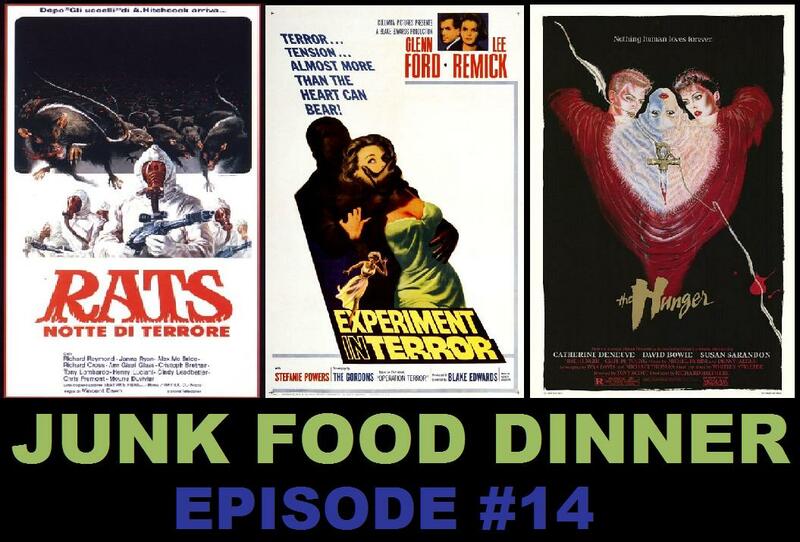 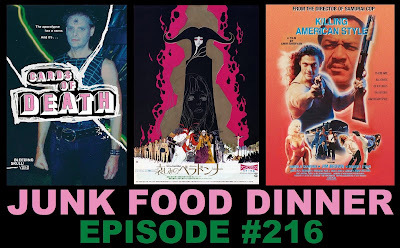 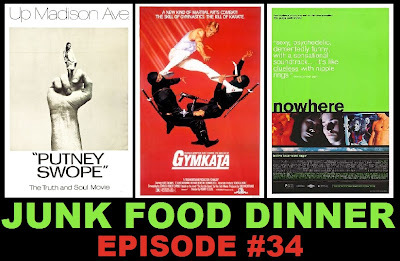 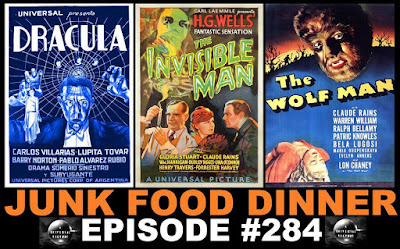 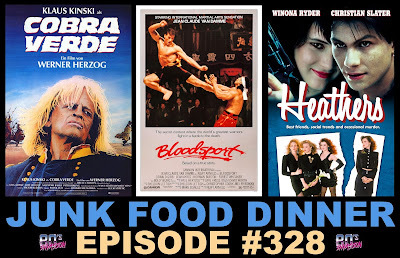 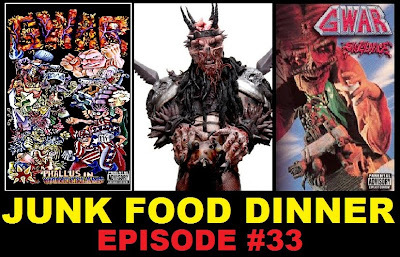 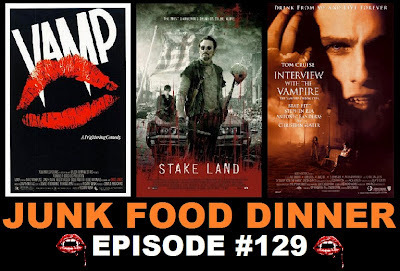 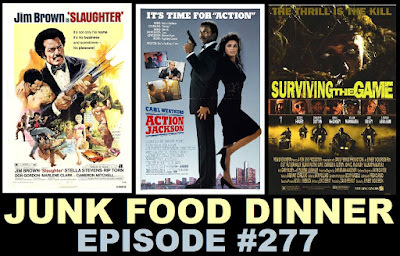 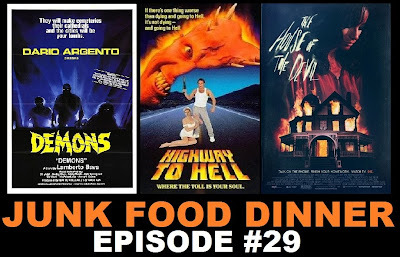 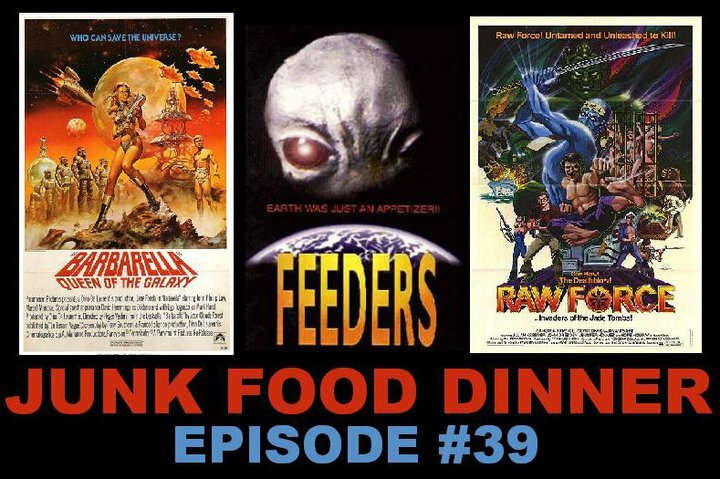 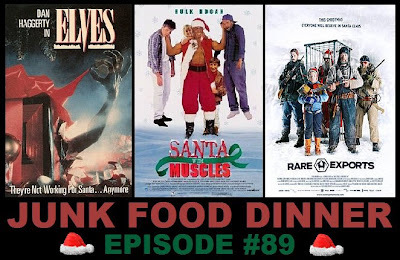 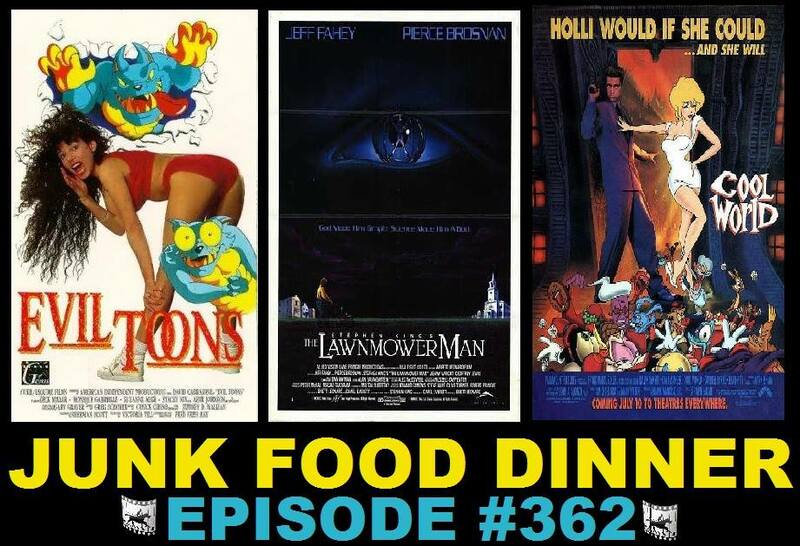 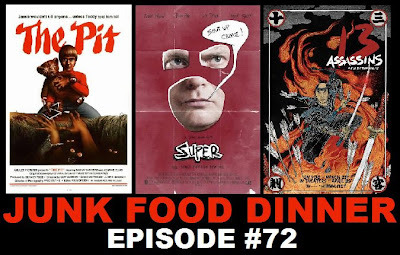 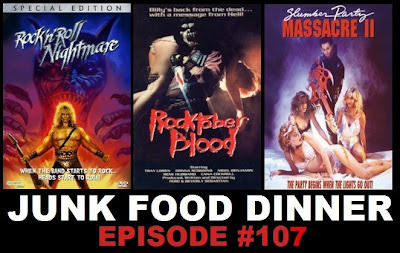 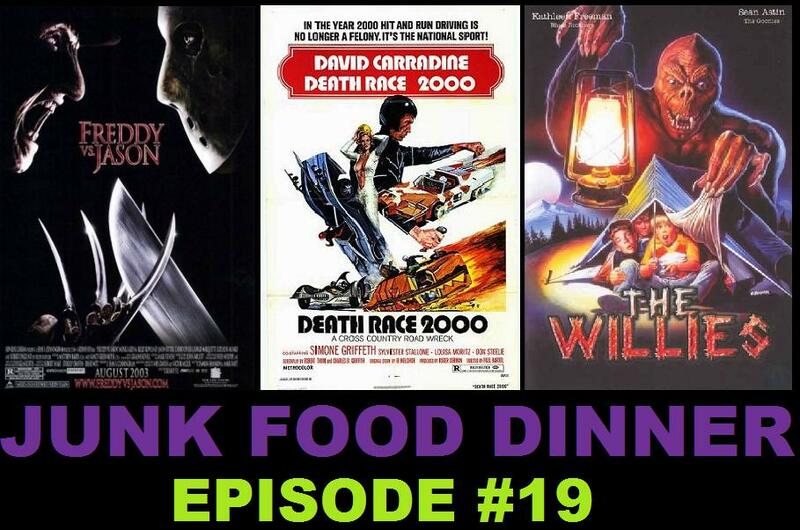 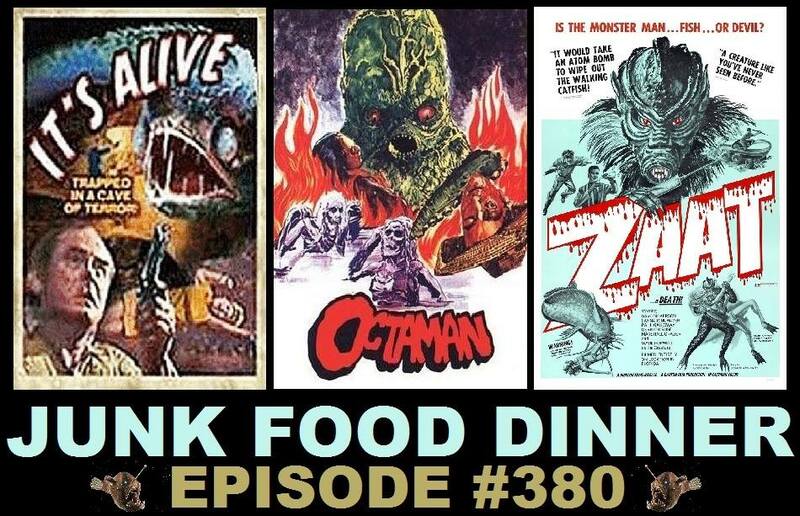 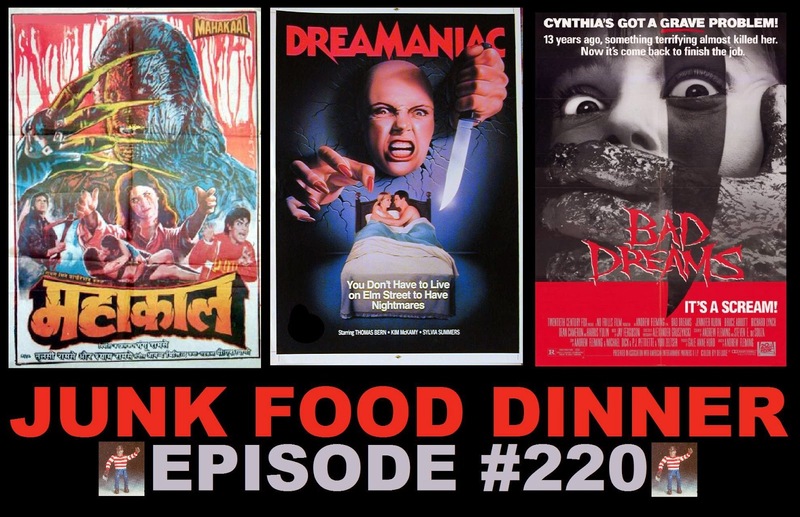 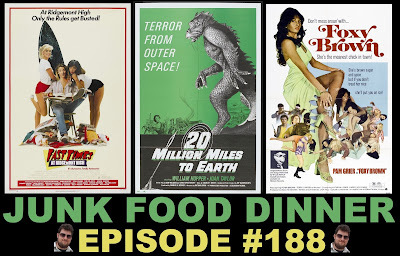 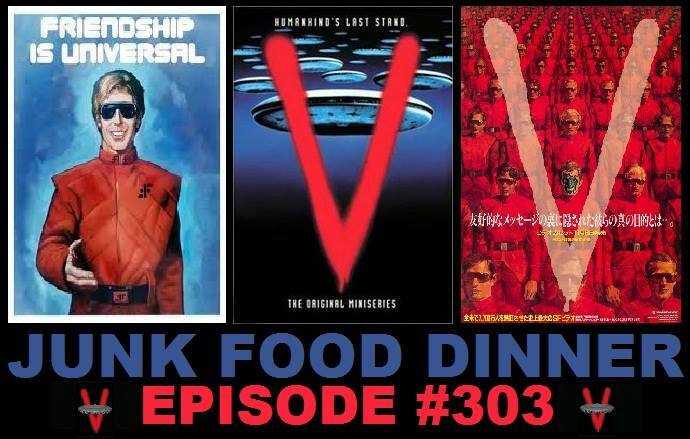 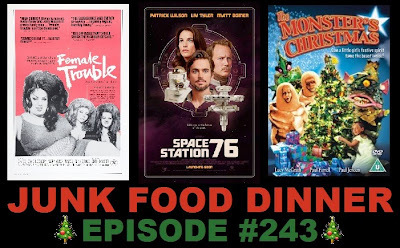 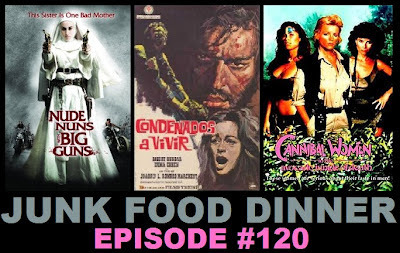 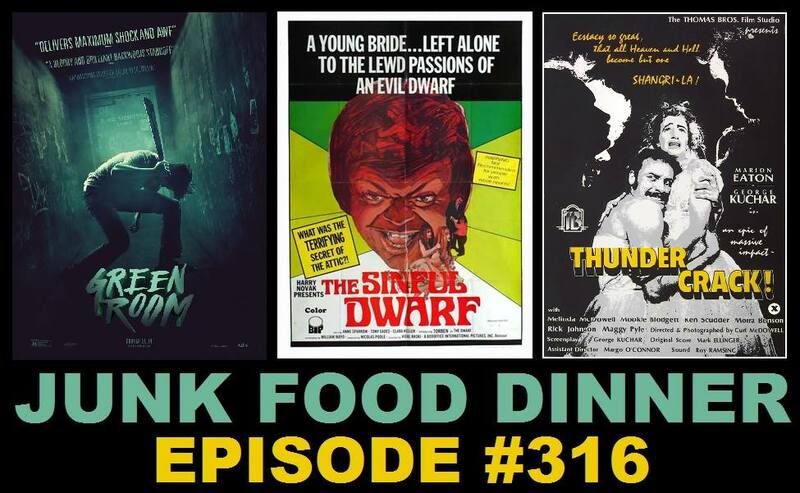 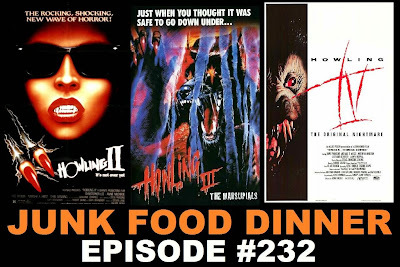 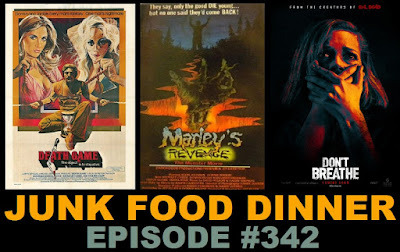 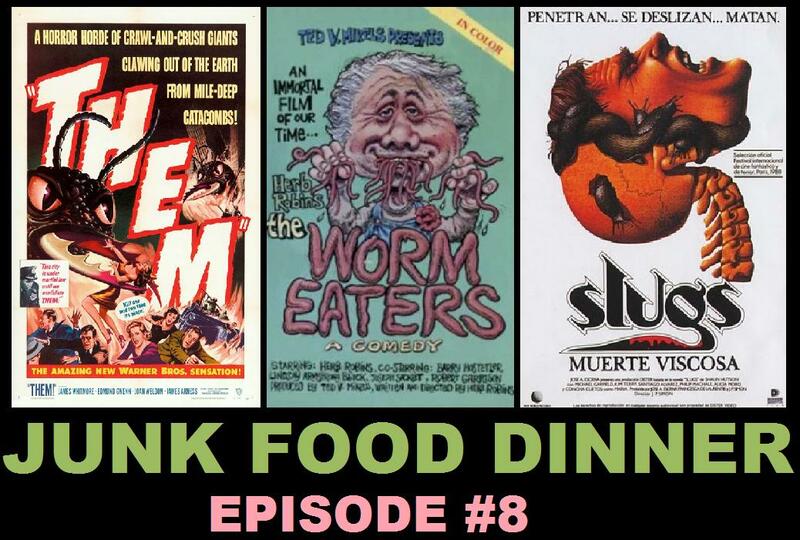 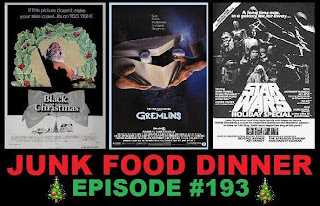 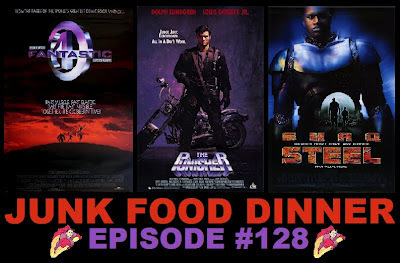 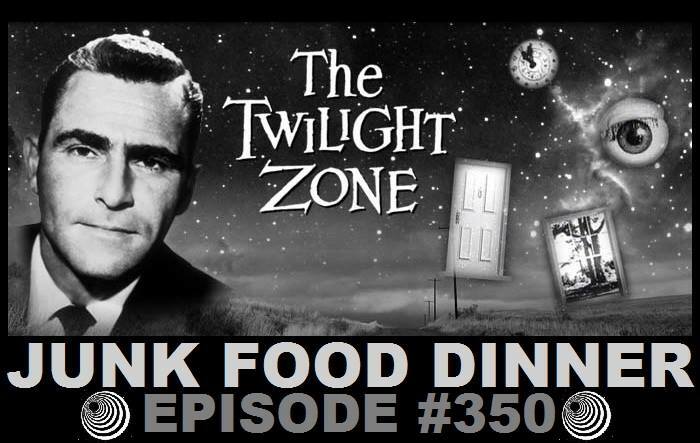 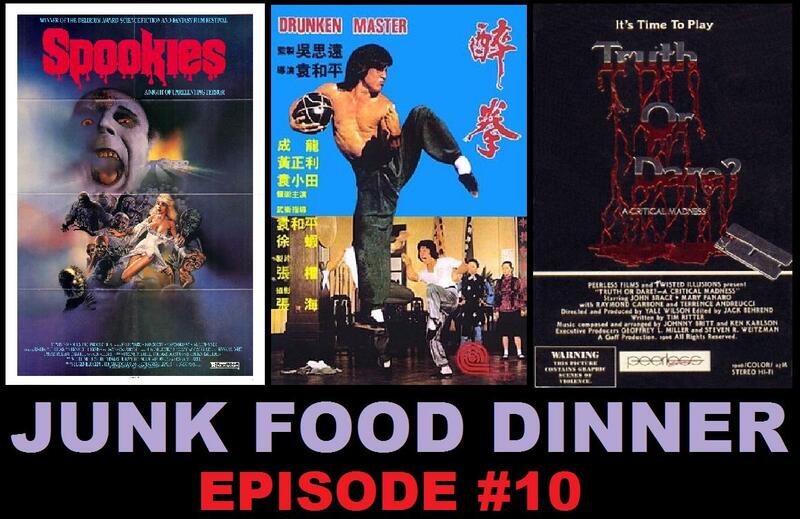 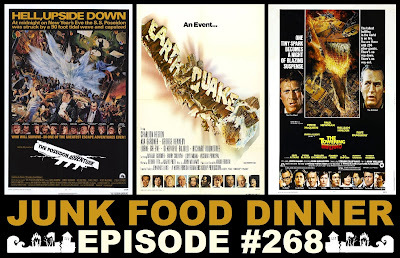 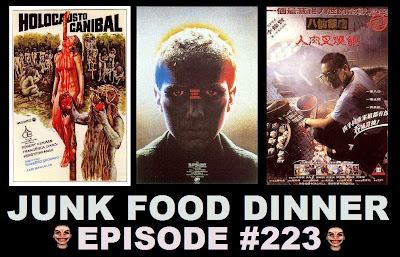 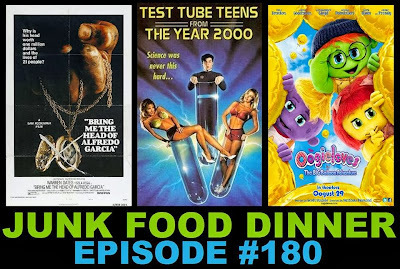 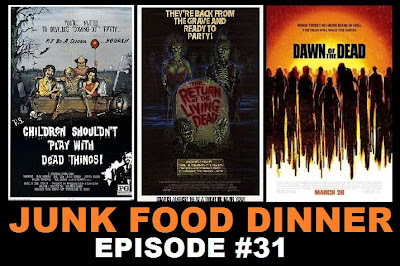 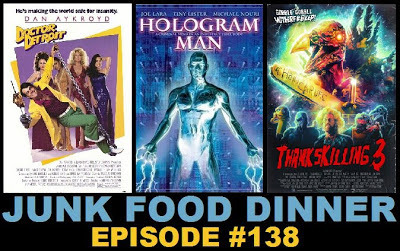 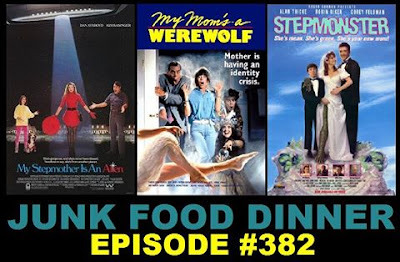 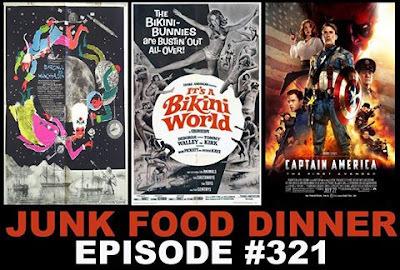 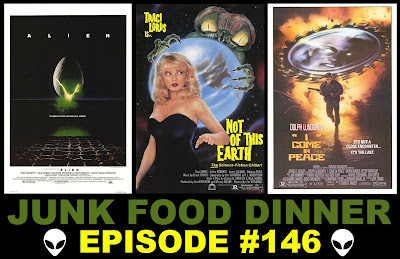 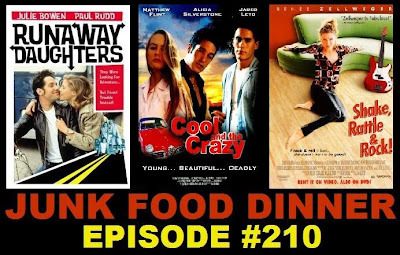 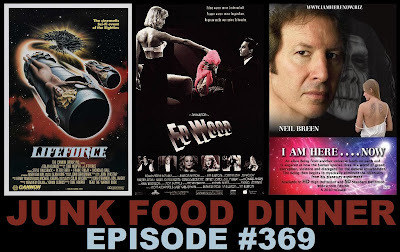 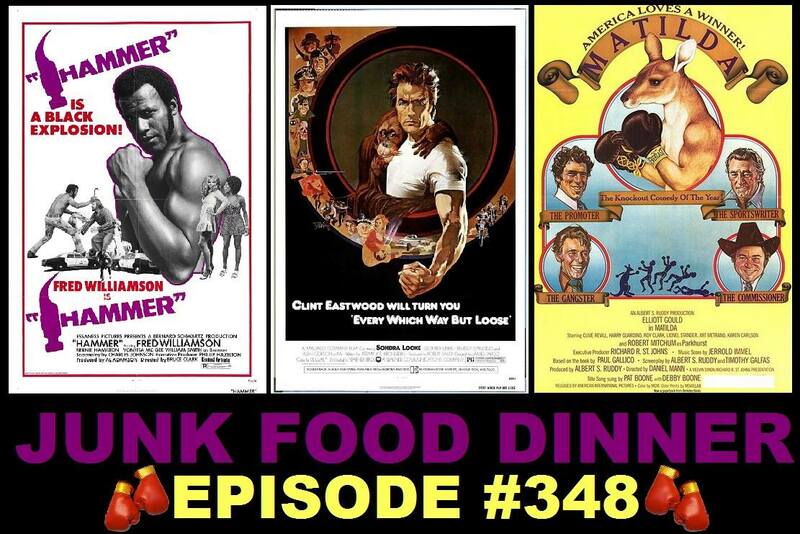 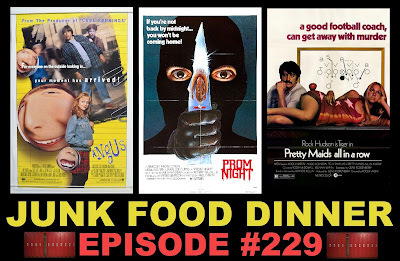 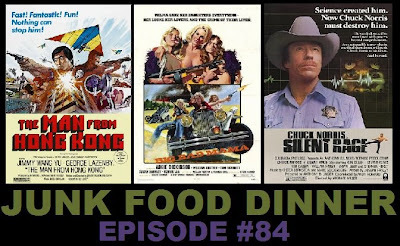 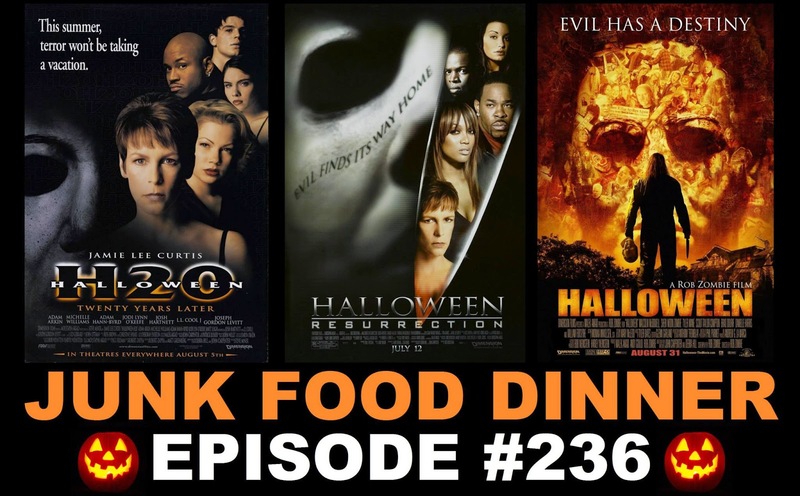 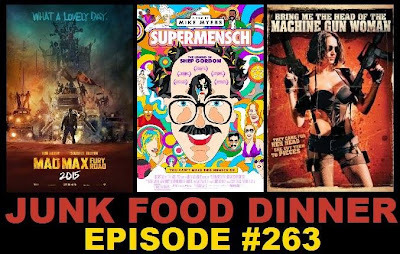 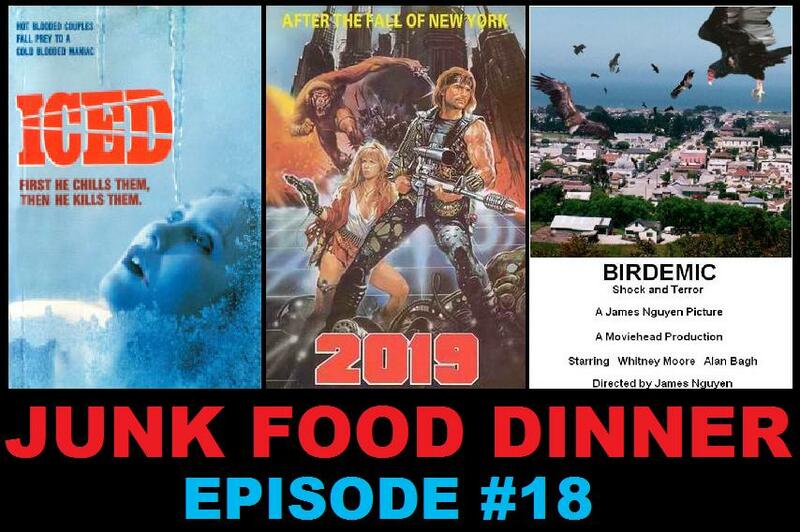 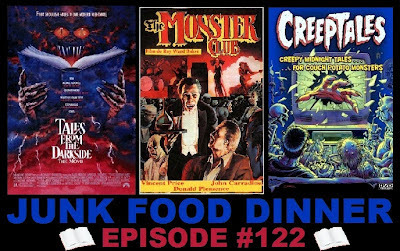 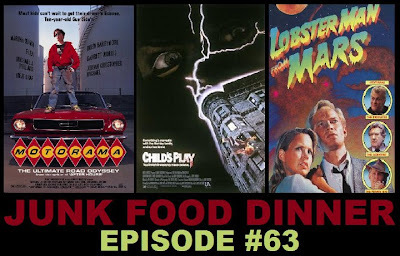 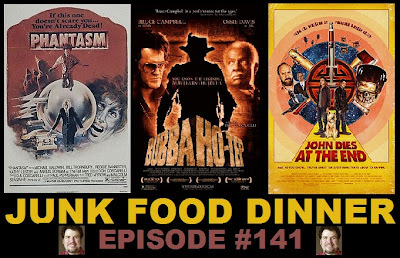 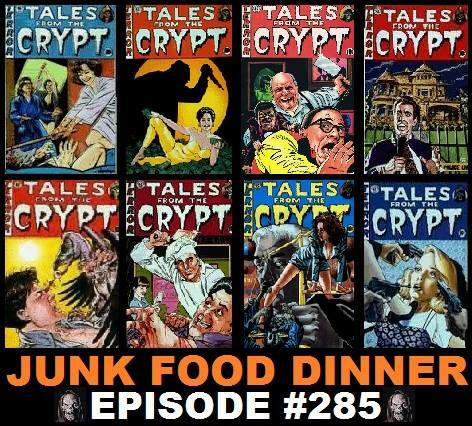 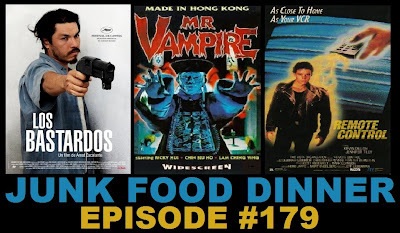 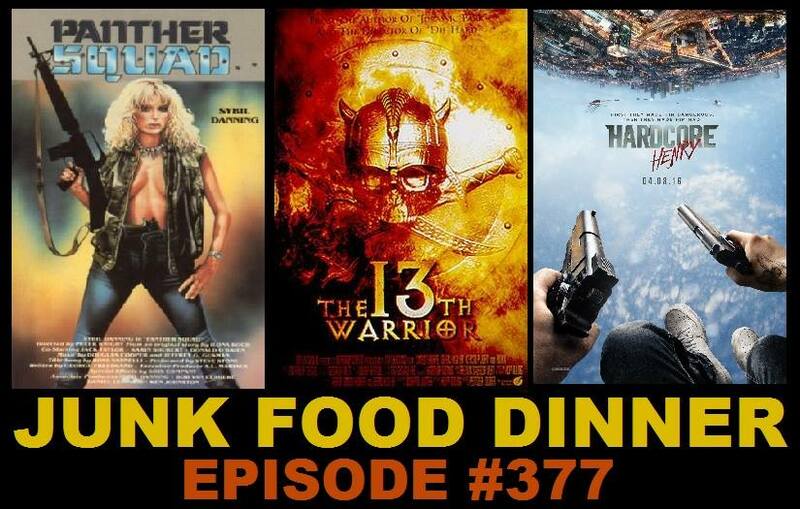 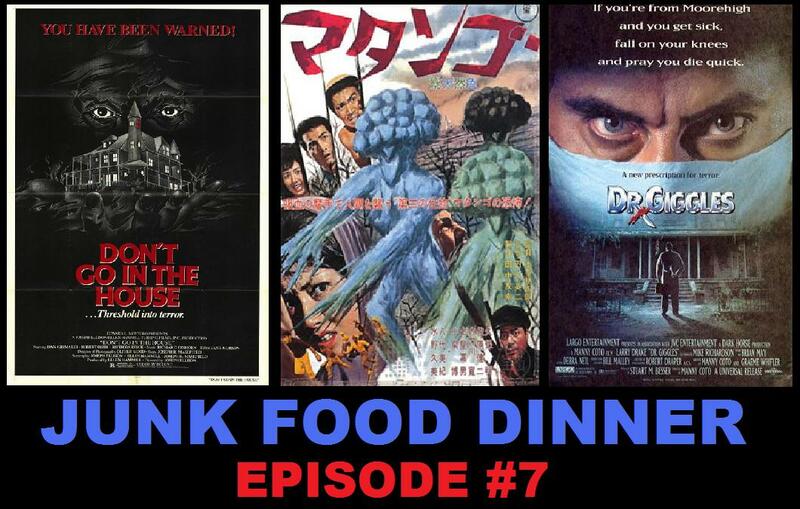 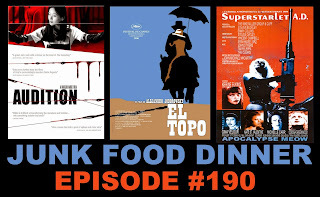 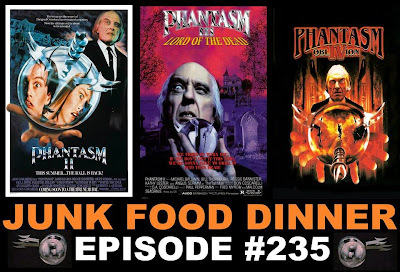 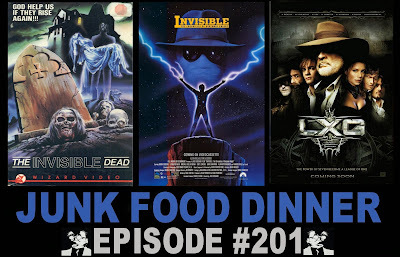 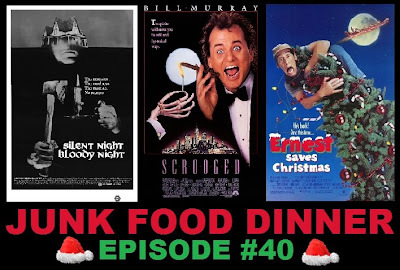 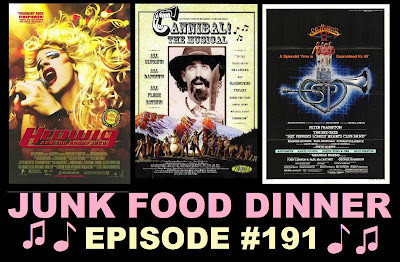 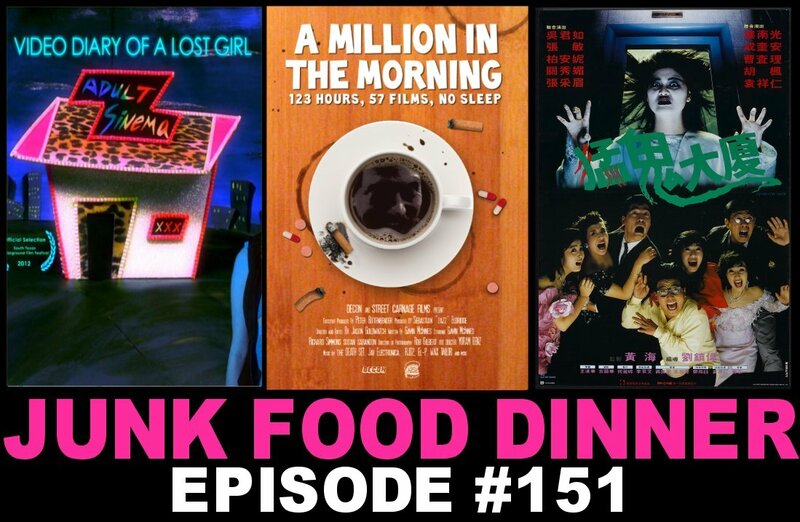 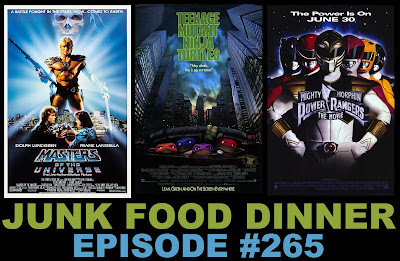 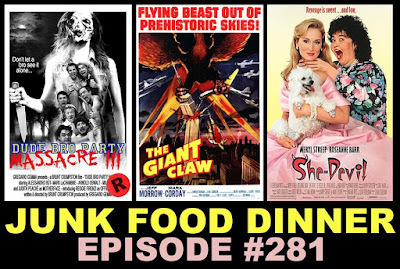 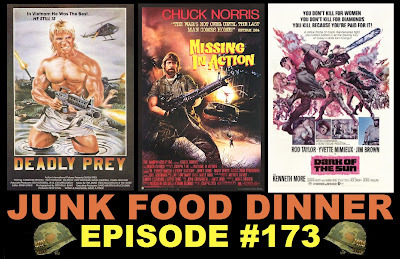 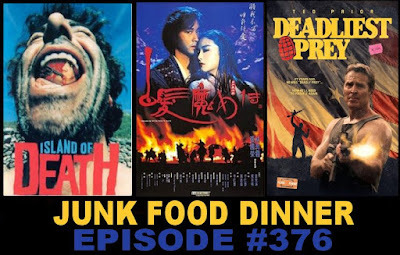 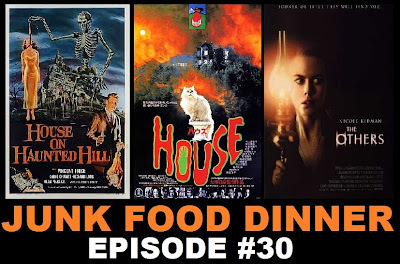 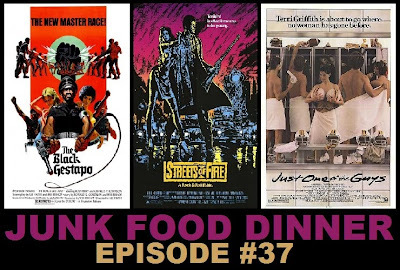 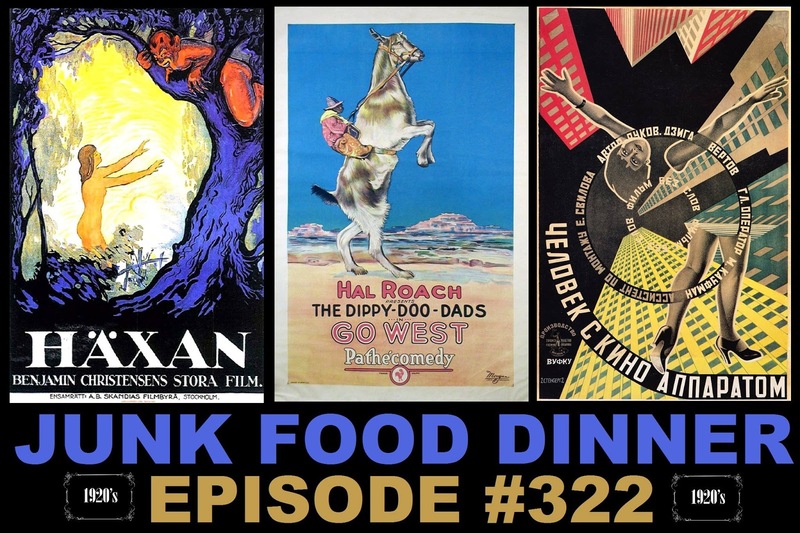 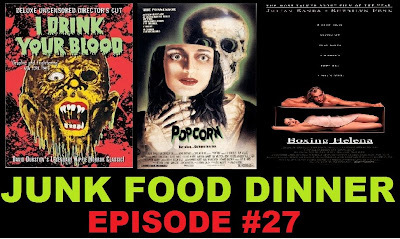 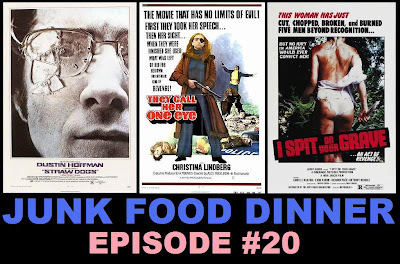 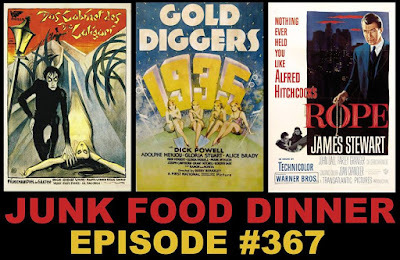 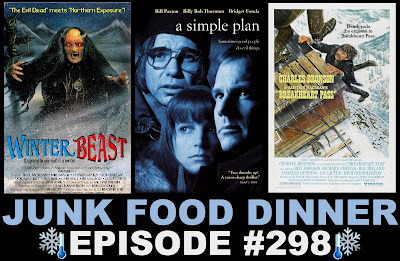 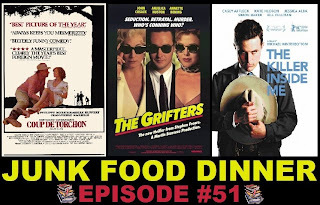 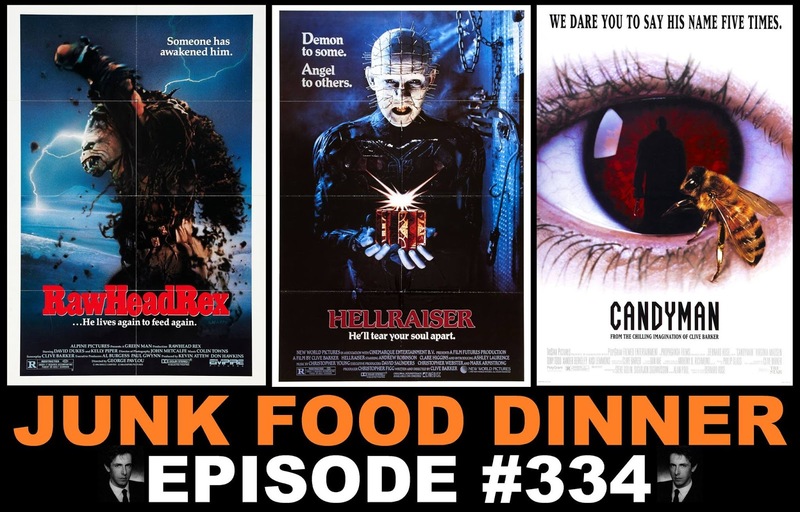 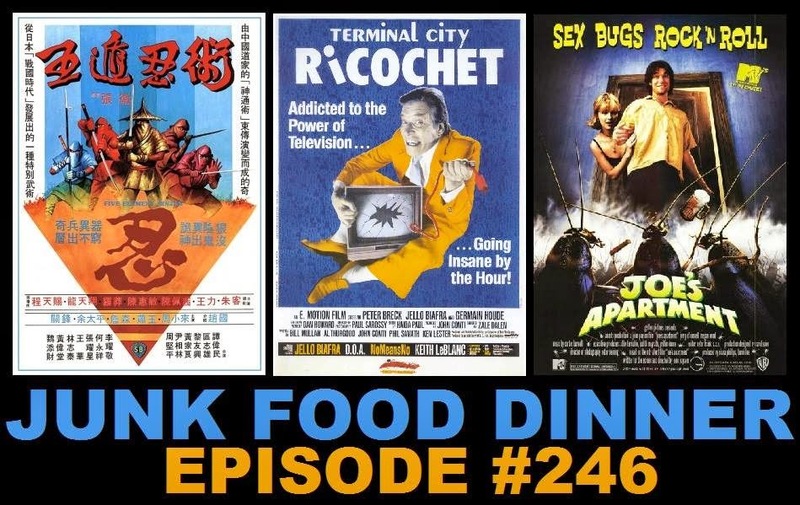 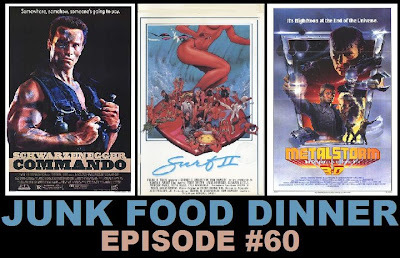 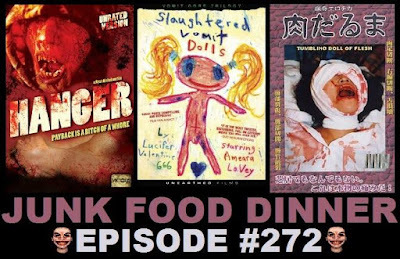 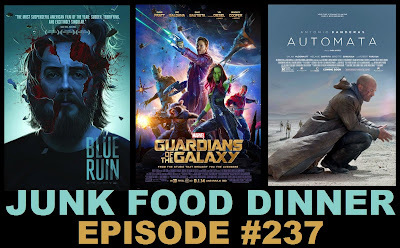 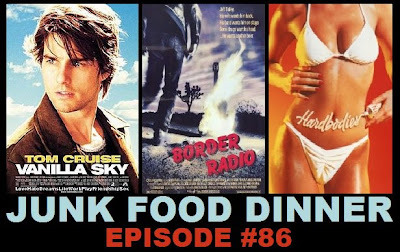 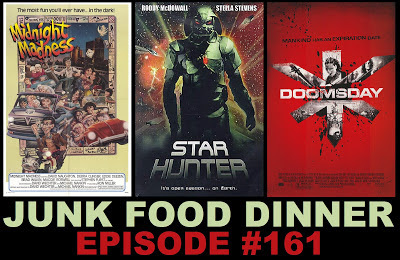 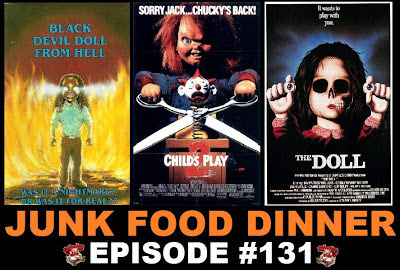 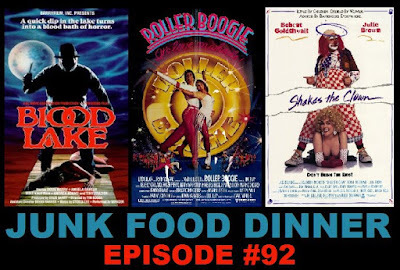 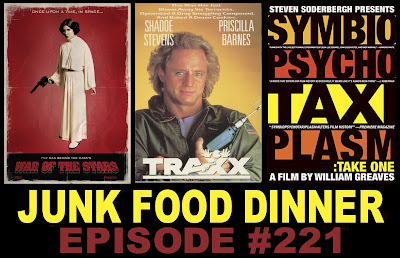 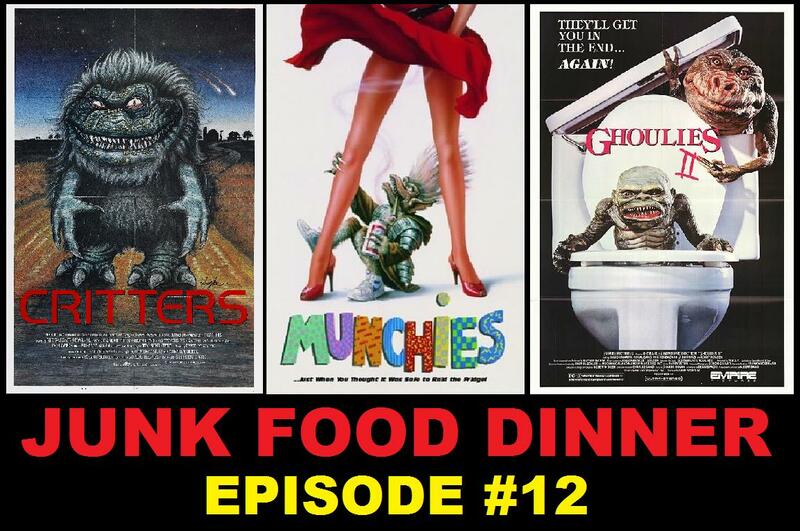 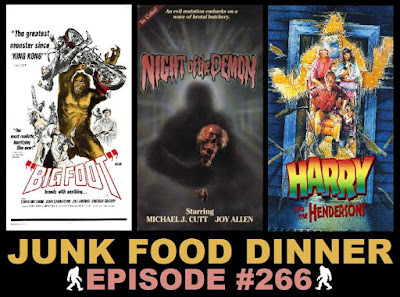 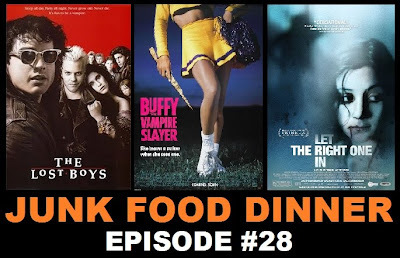 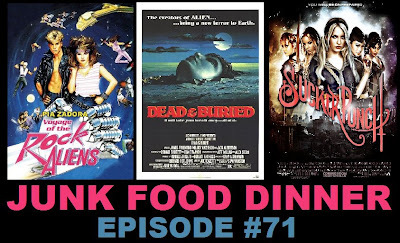 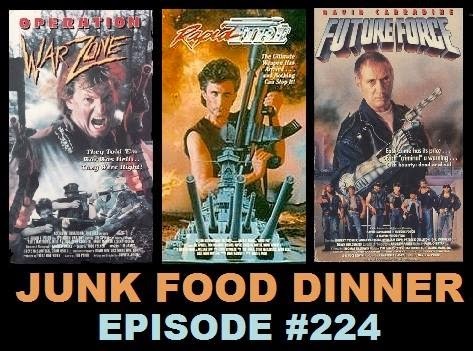 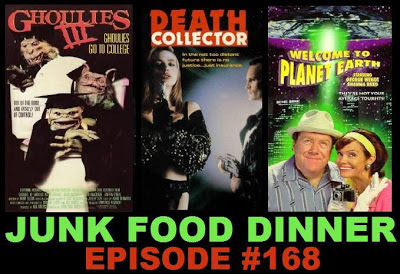 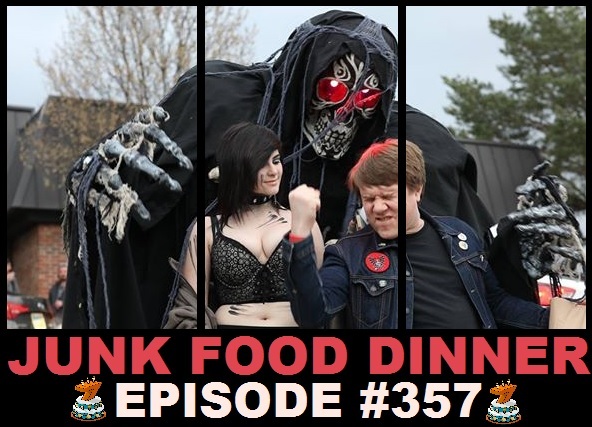 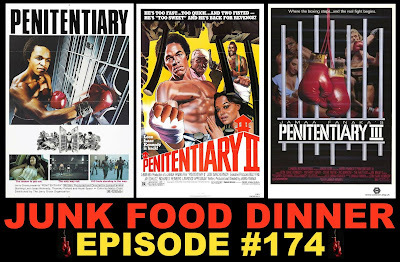 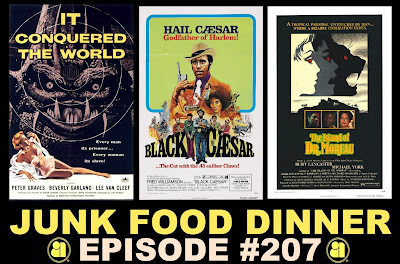 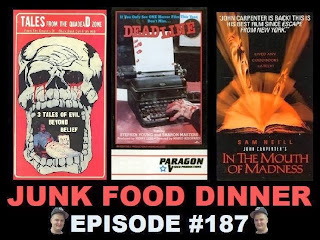 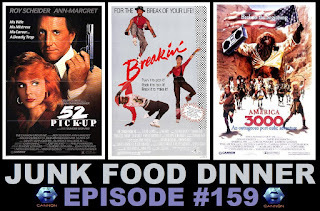 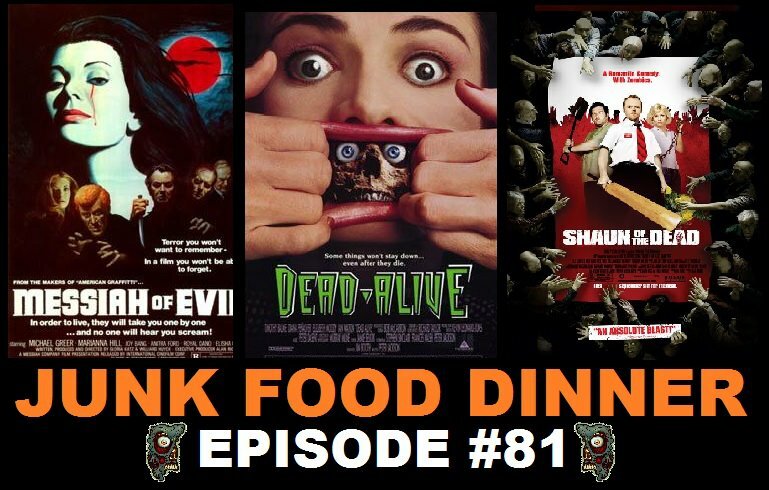 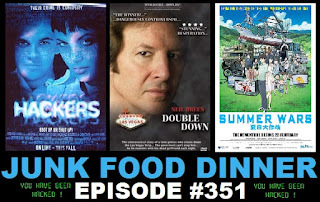 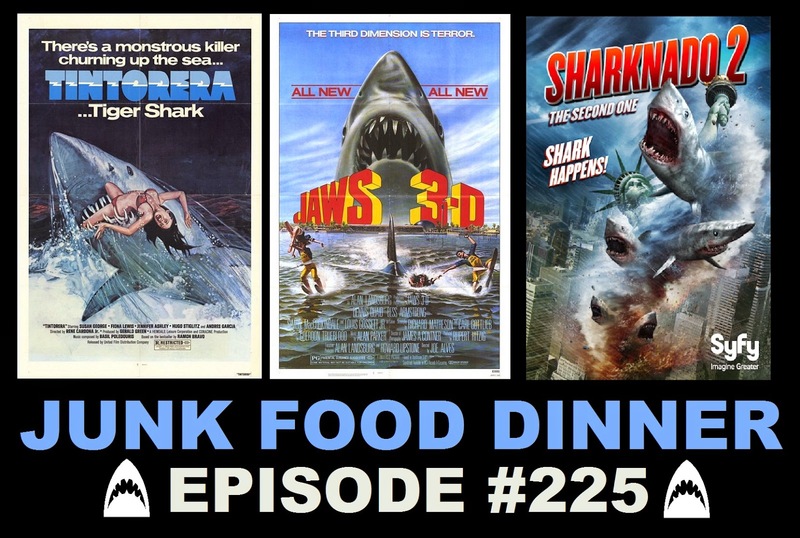 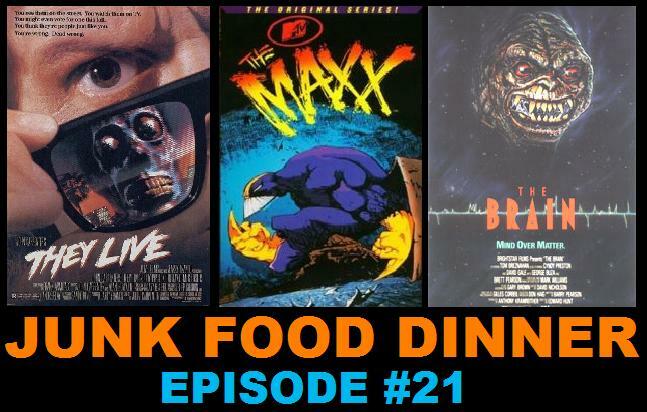 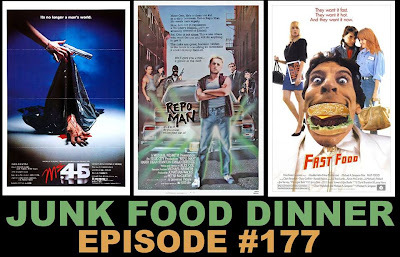 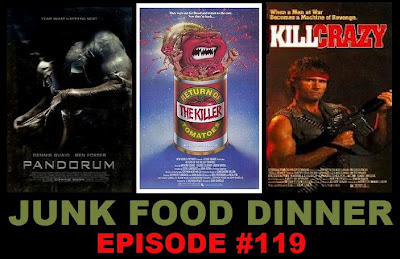 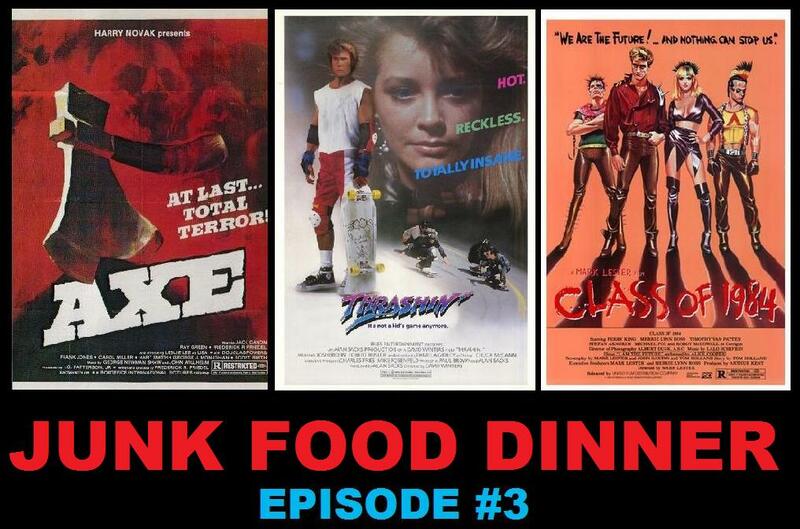 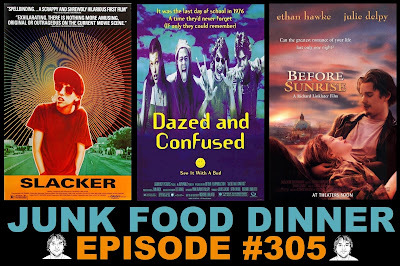 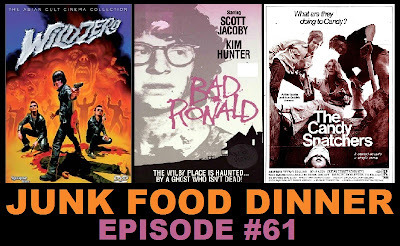 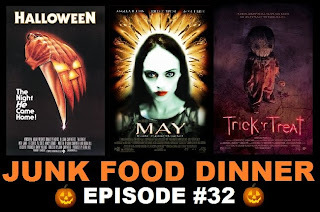 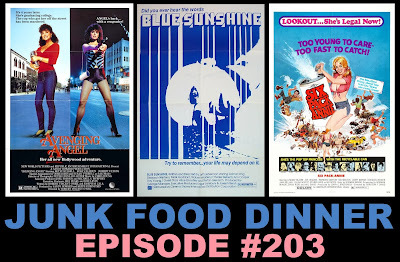 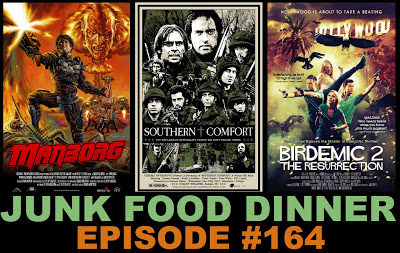 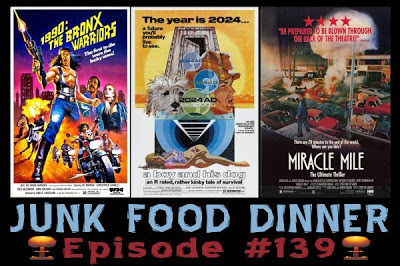 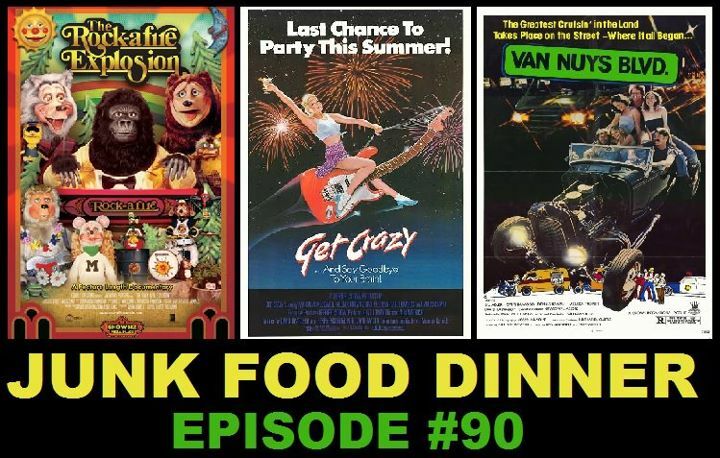 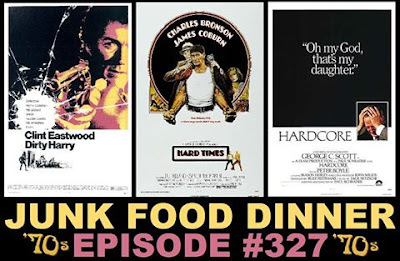 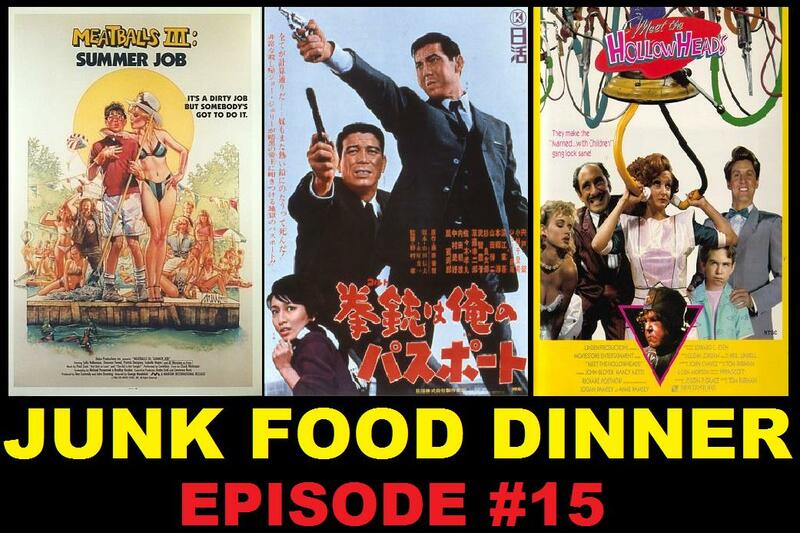 All this plus witty banter between friends, Nerd News, this week's DVD & blu-ray releases, Face to Face Chat, complete confidentiality, no police involvement, Poseurs, Donald Lloyd of the Junk Food Dinner Warehouse, Junk (voice)Mails, and so much more! 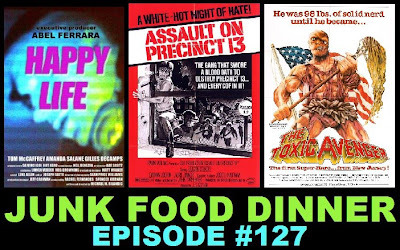 I, for one, enjoyed Yaphet Kotto chat. 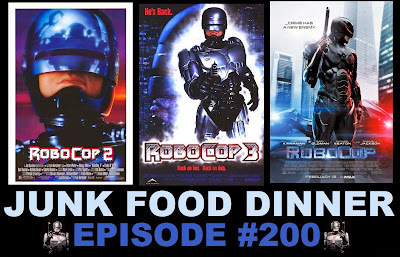 The ending loop alone makes the 2 hours and 20 minutes show worth it. 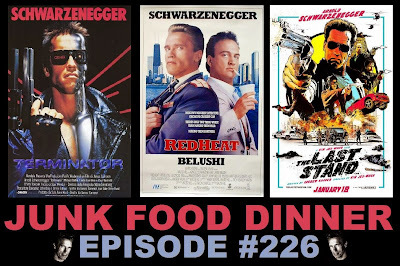 Maybe you should end all your shows with looping Arnie one-liners?